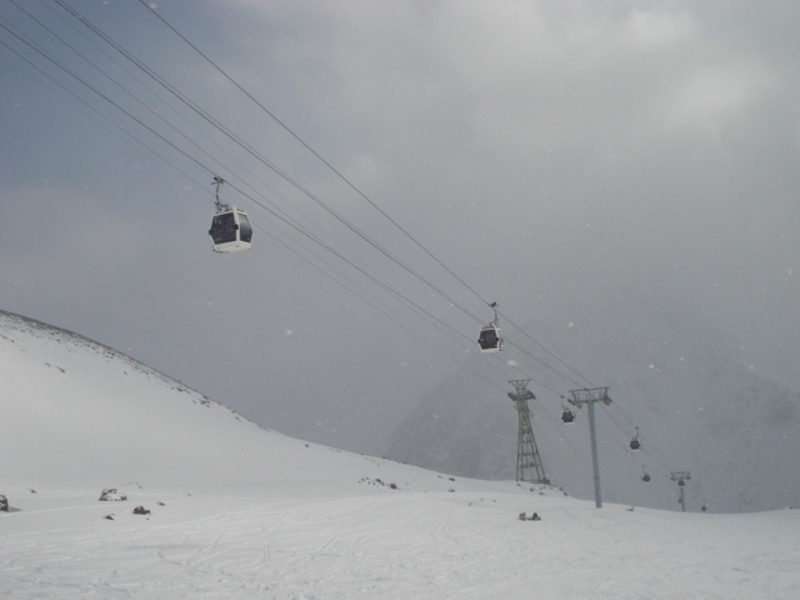 In April 2009 the cable car was officially opened. 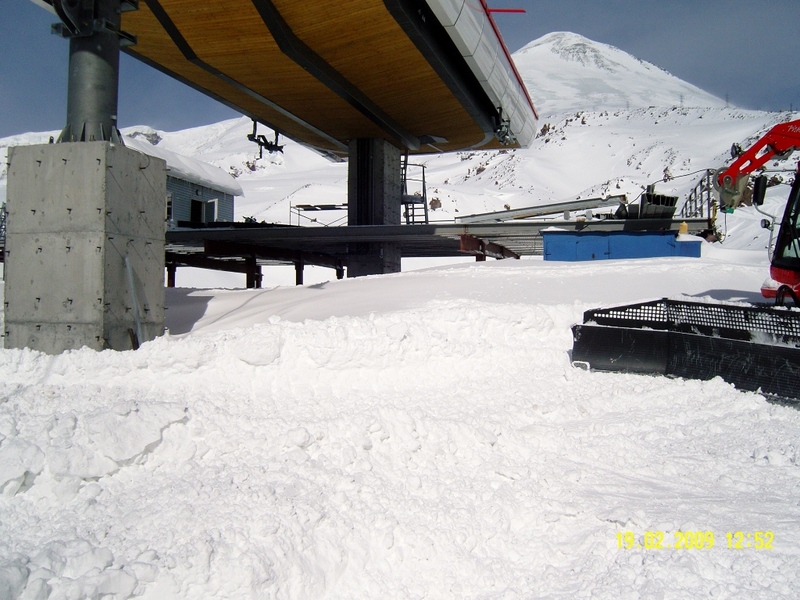 In summer the garage of gondolas was completed at the station “Mir”, and in winter 2010 is planning a stable passenger service. 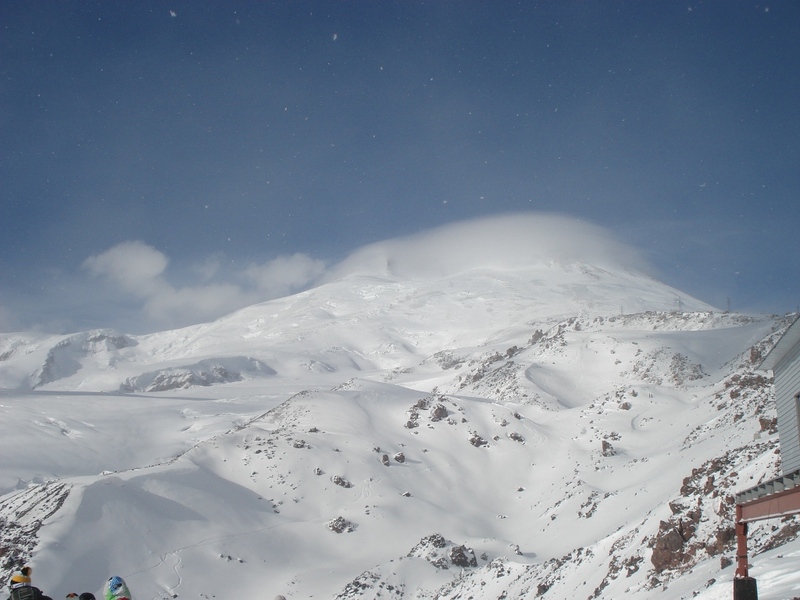 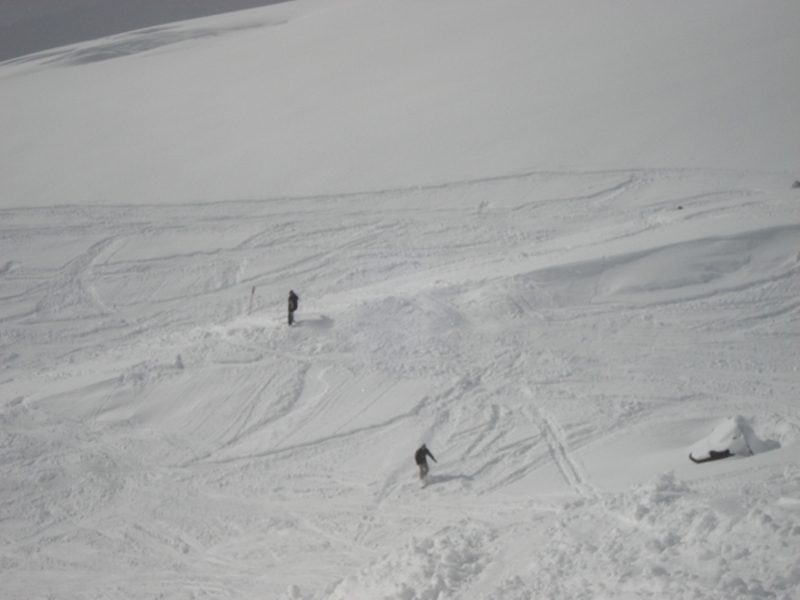 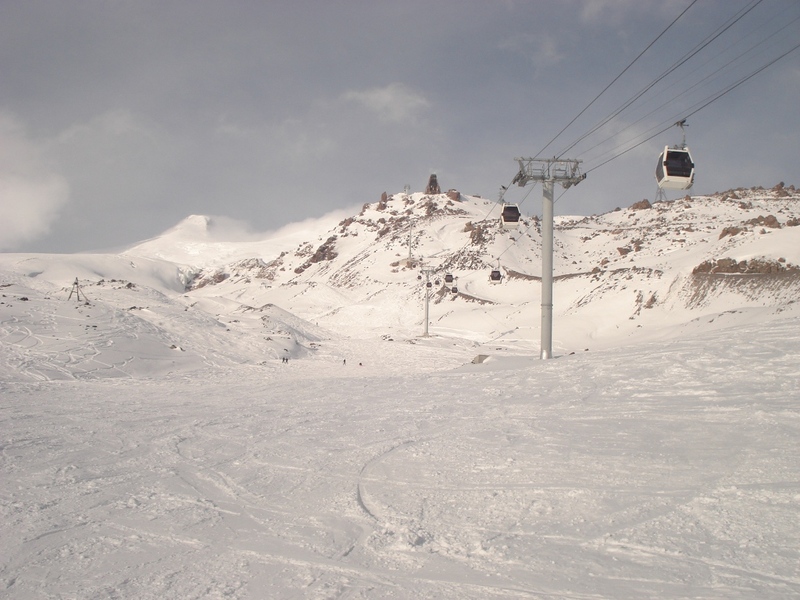 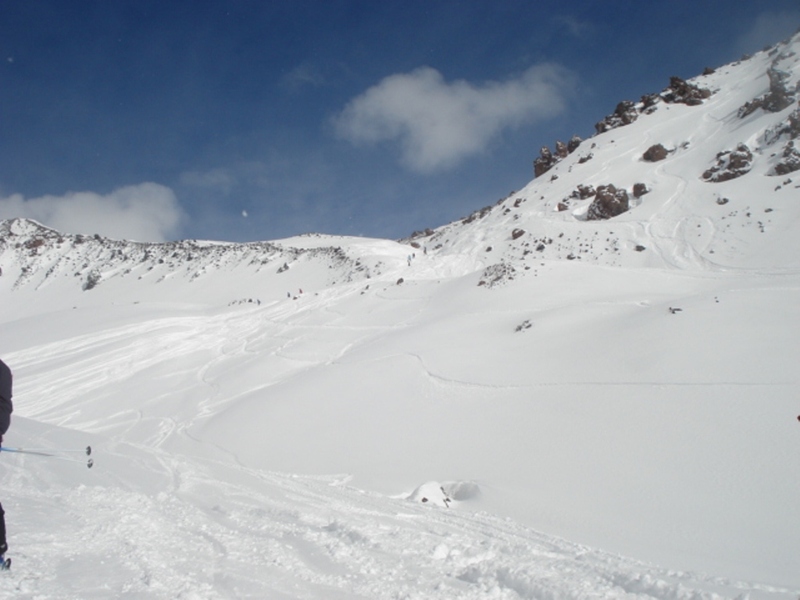 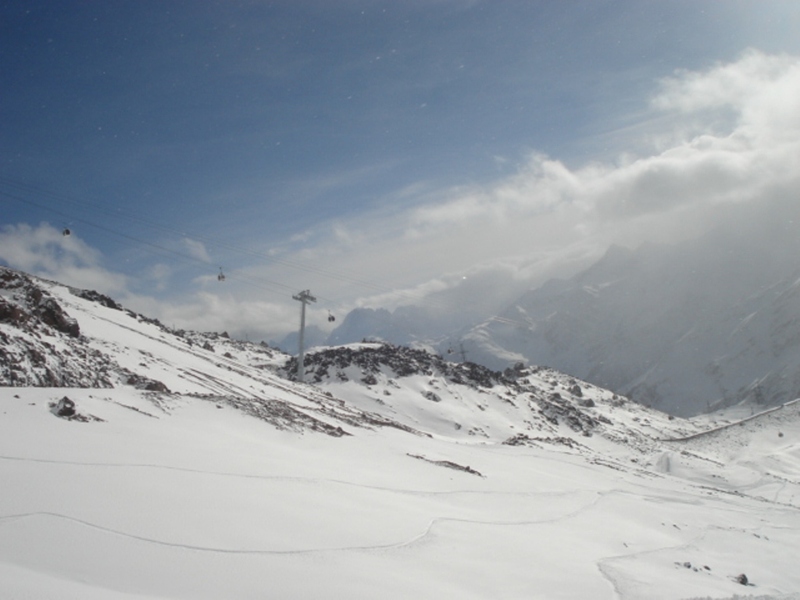 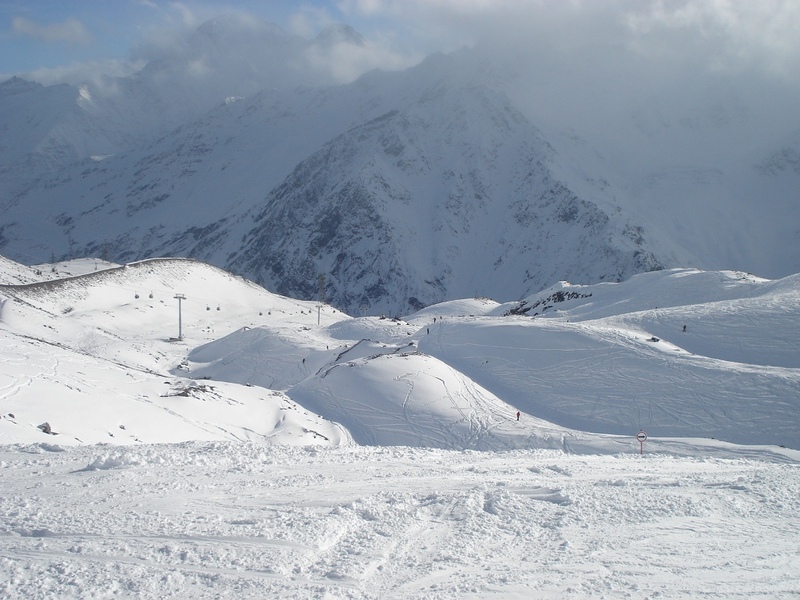 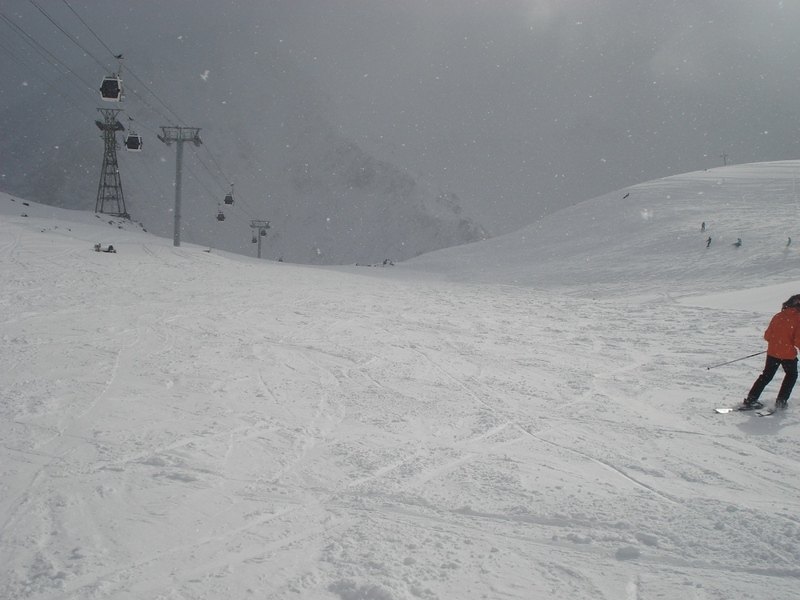 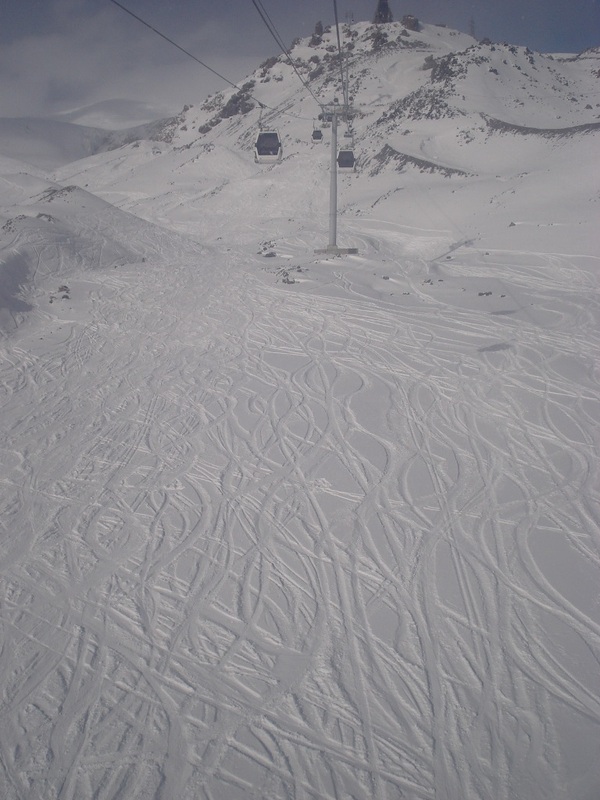 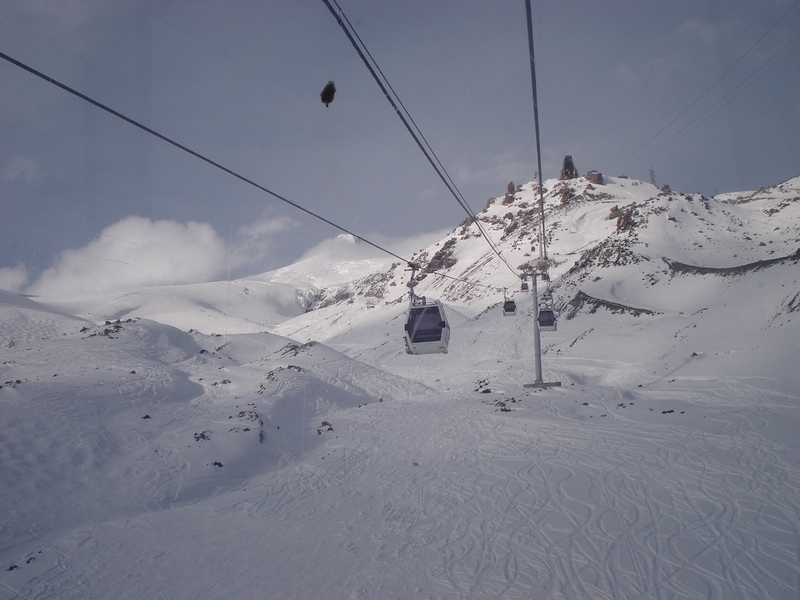 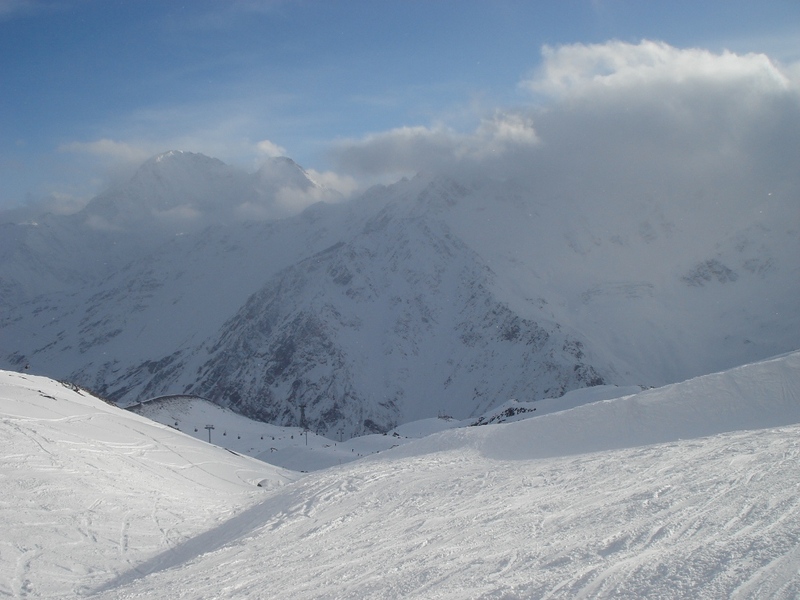 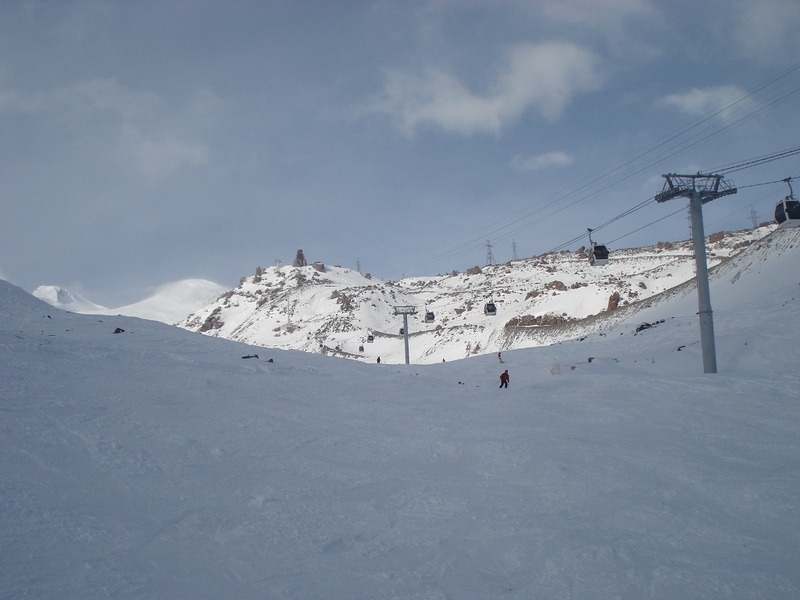 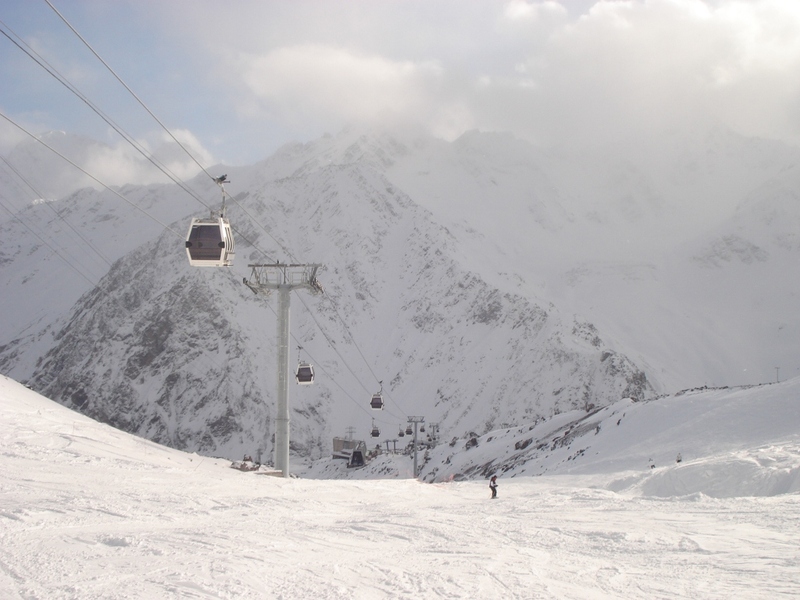 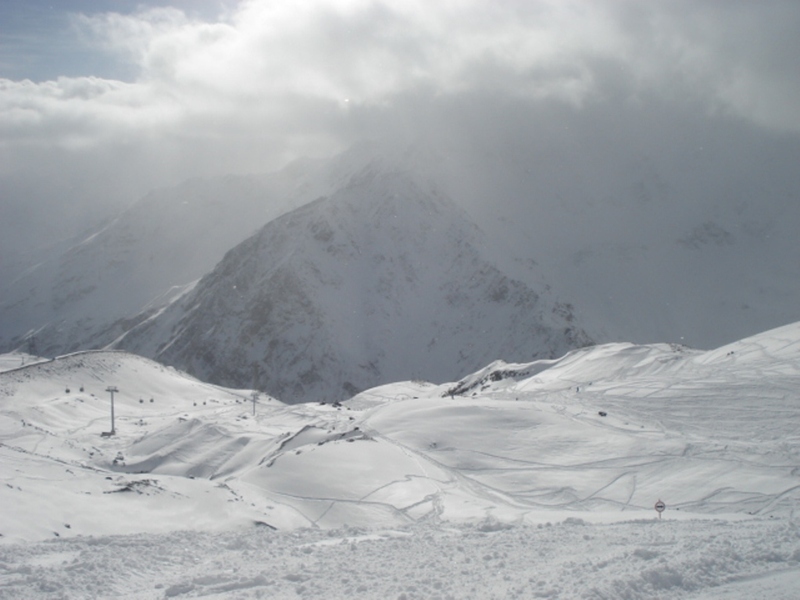 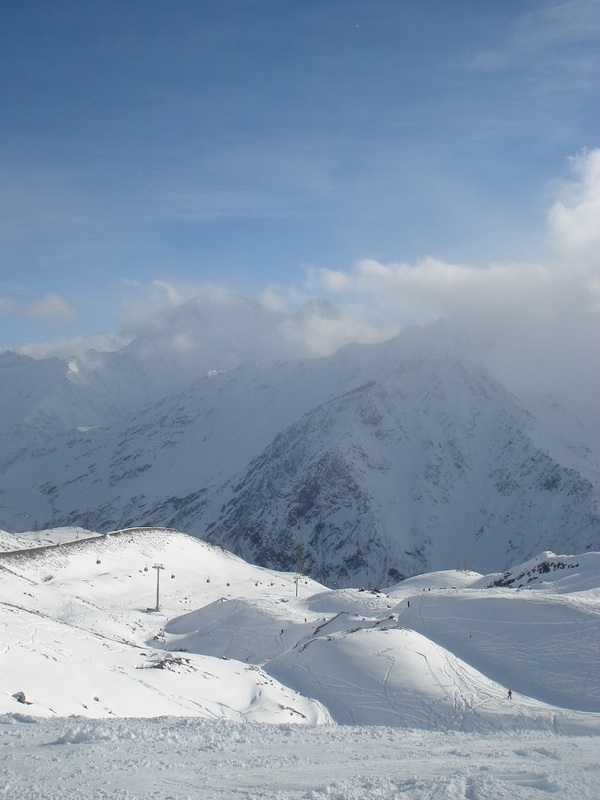 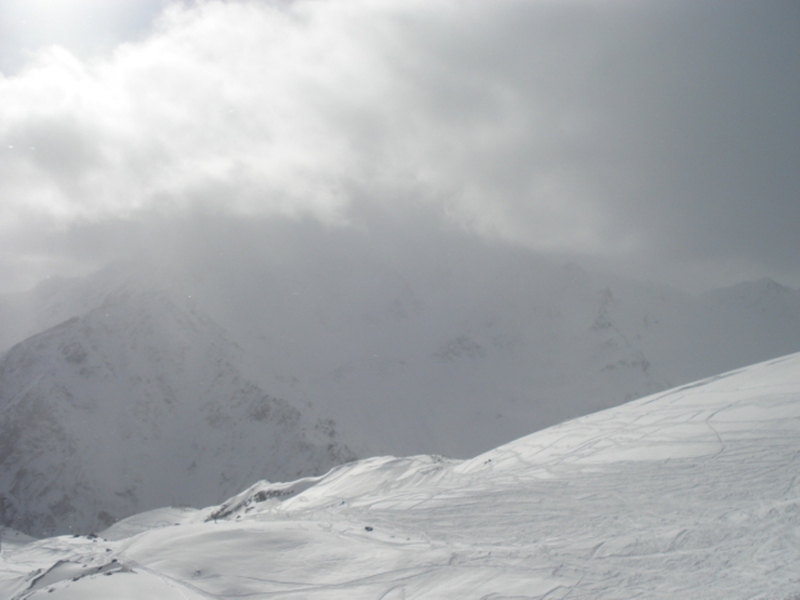 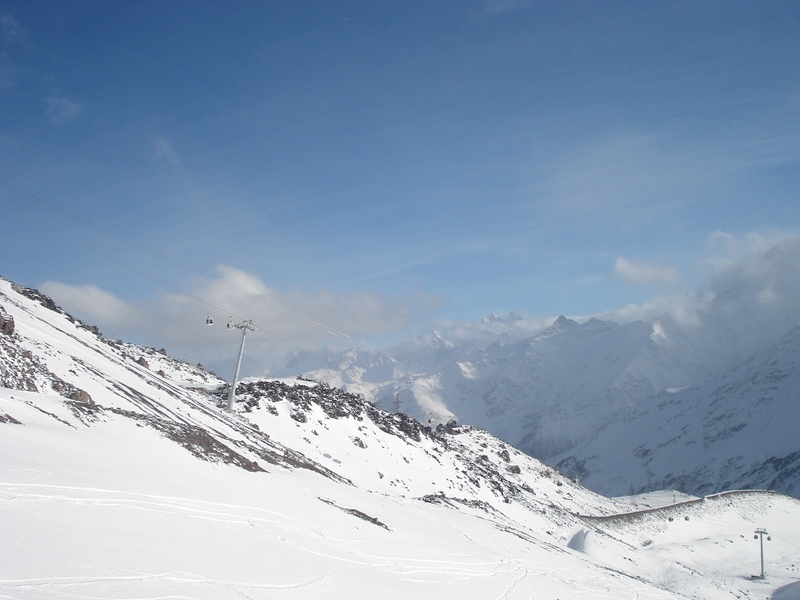 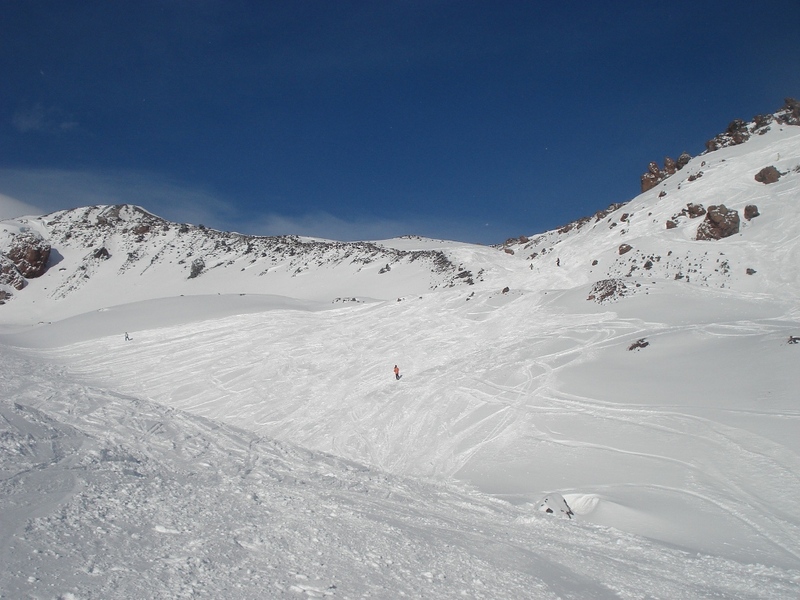 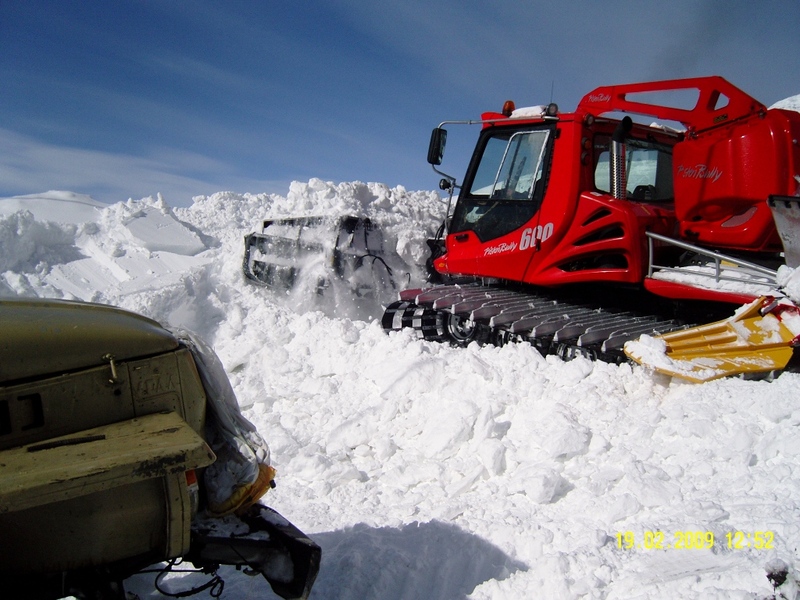 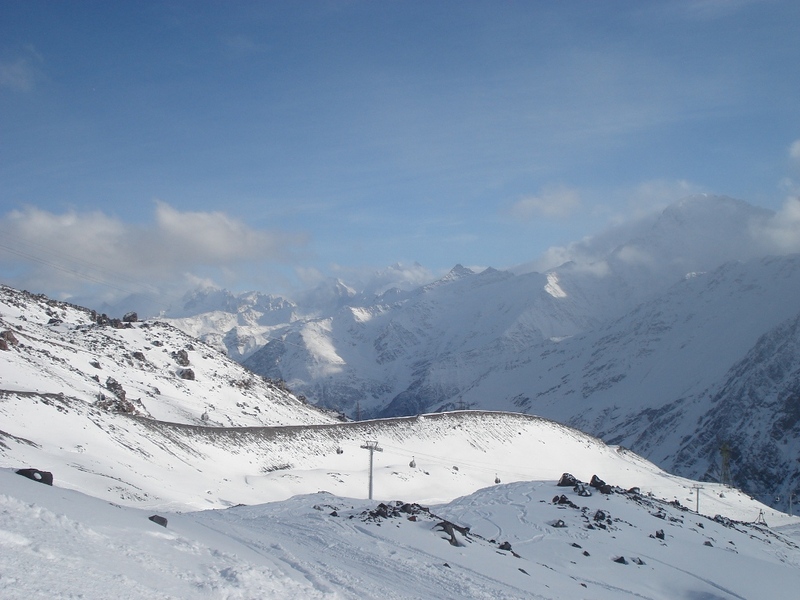 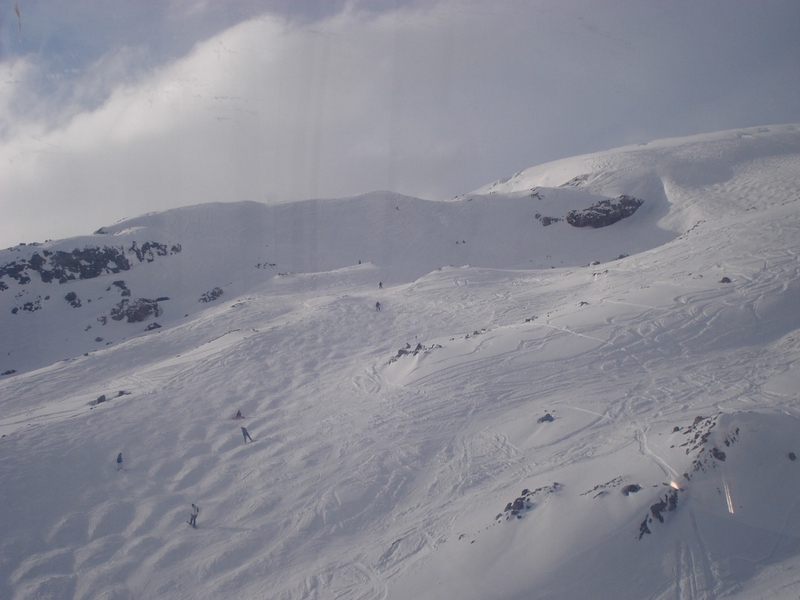 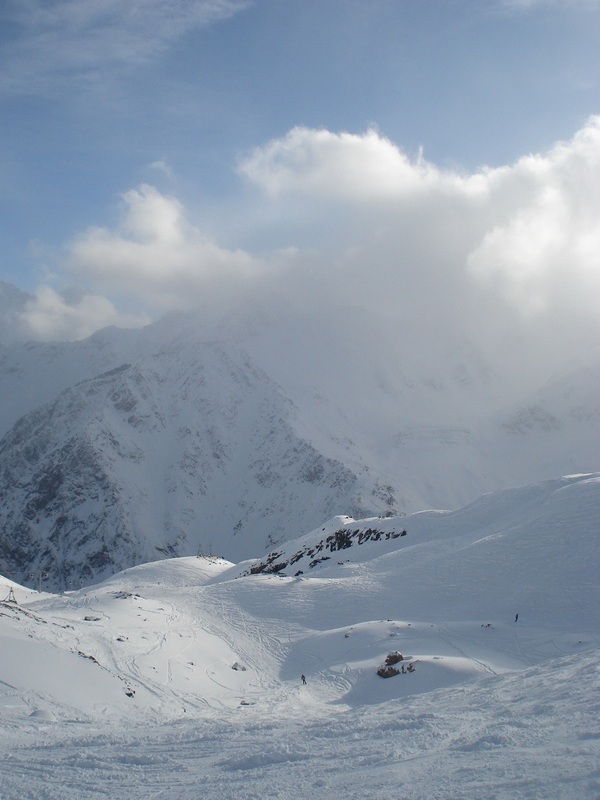 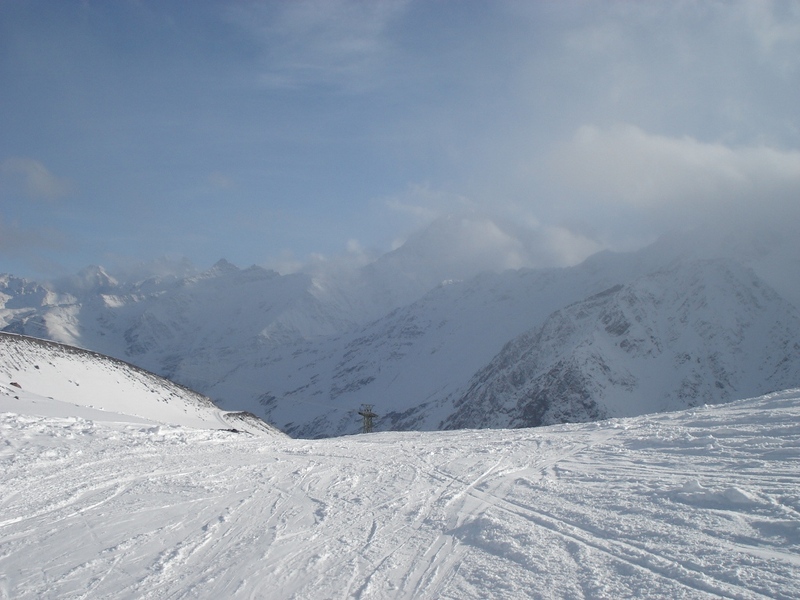 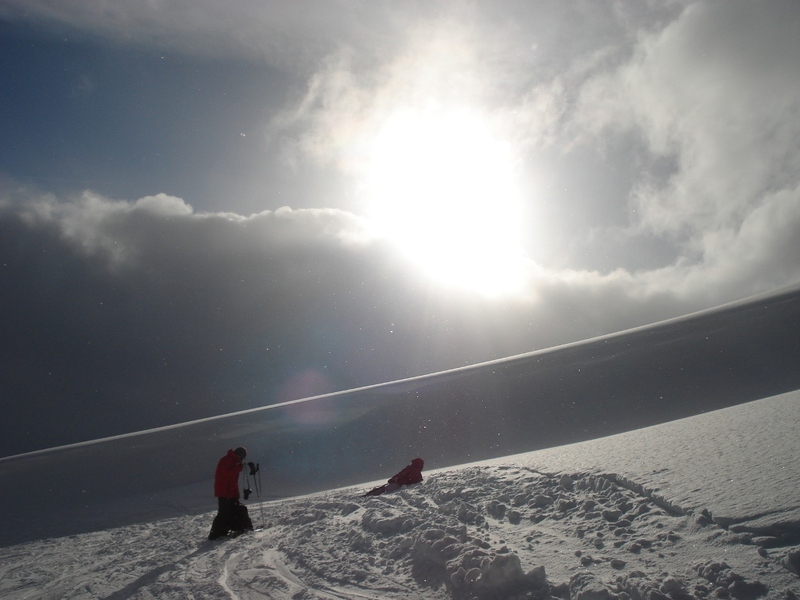 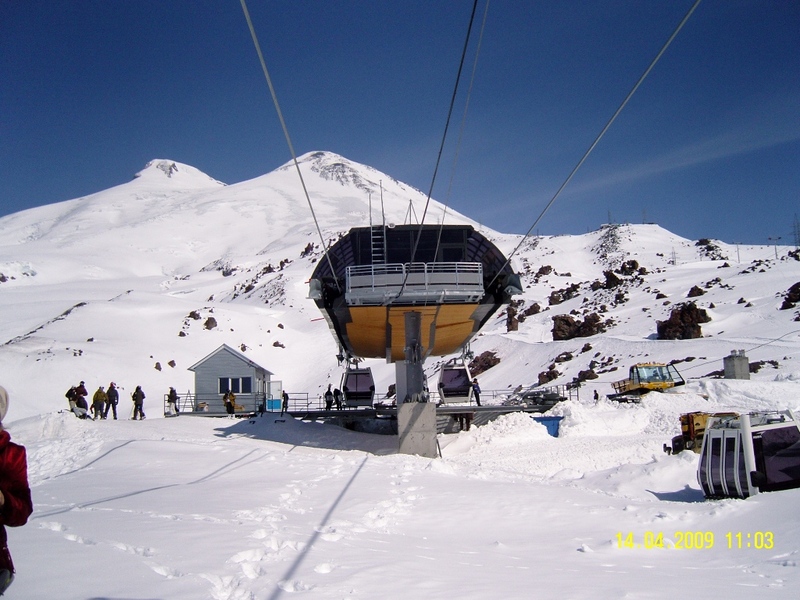 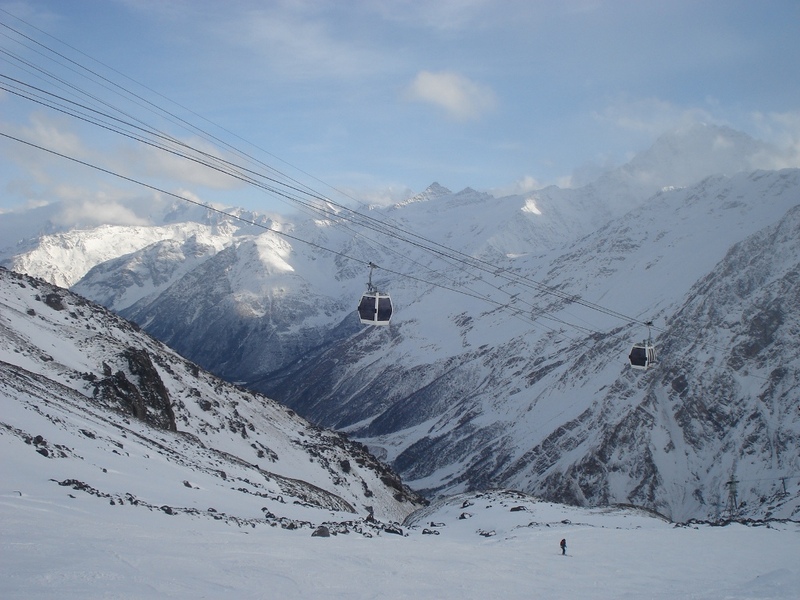 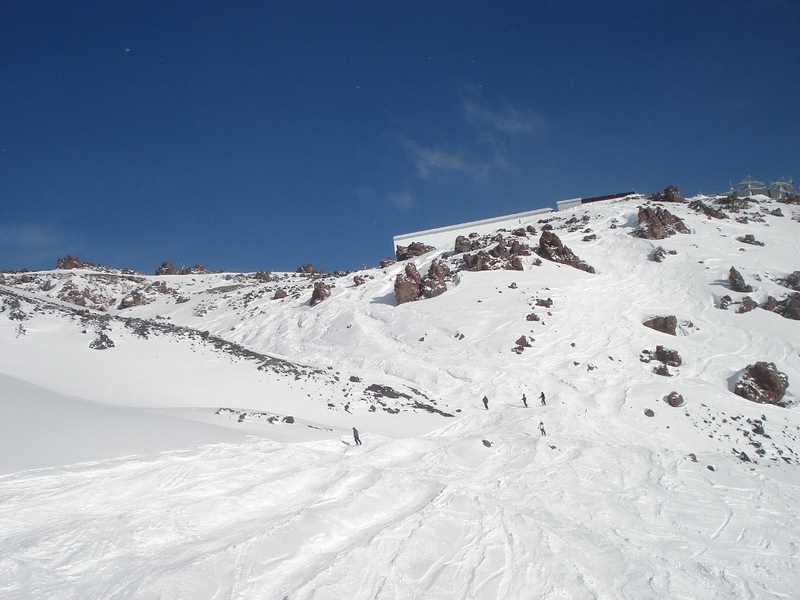 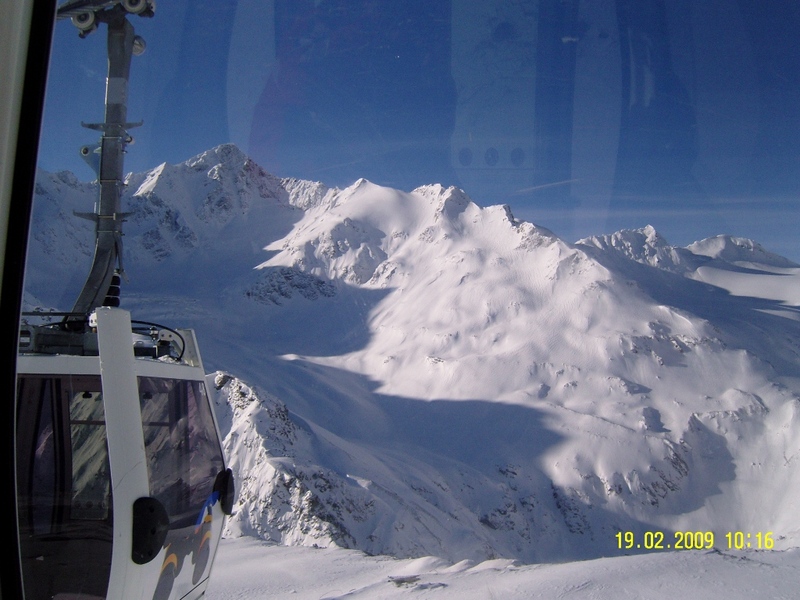 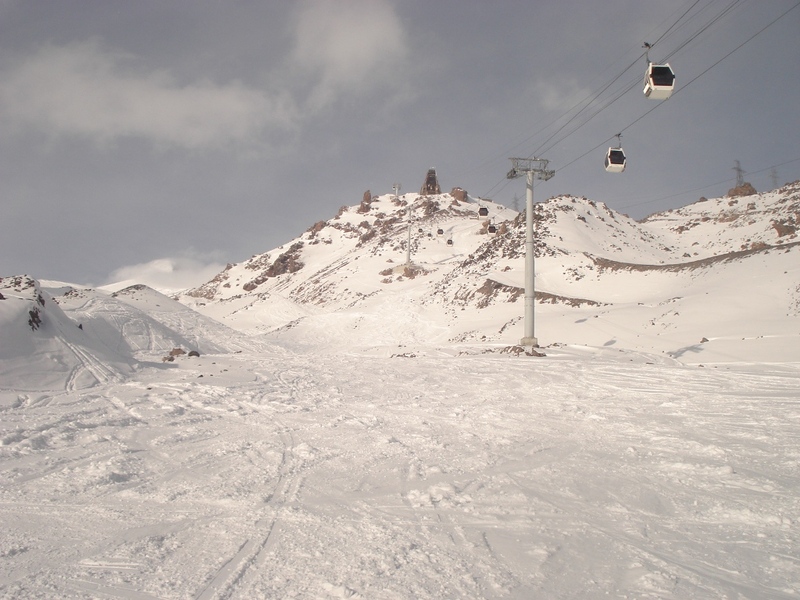 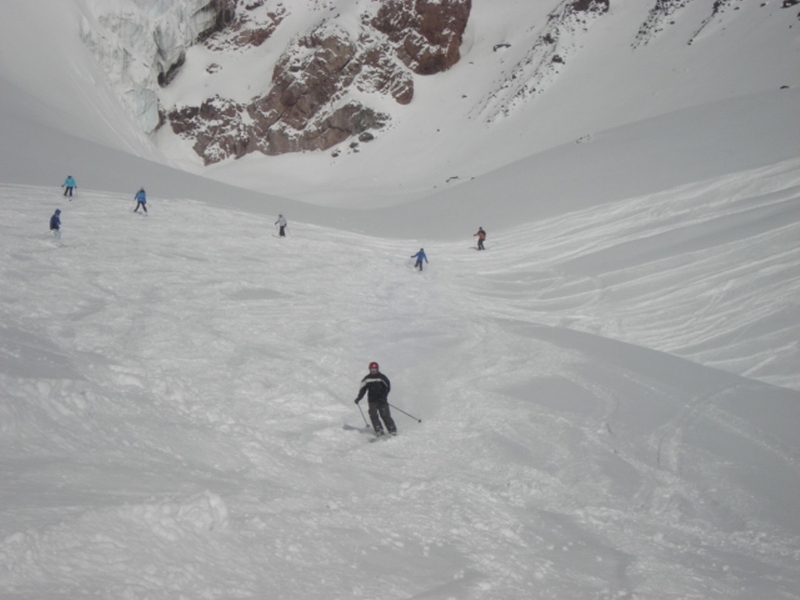 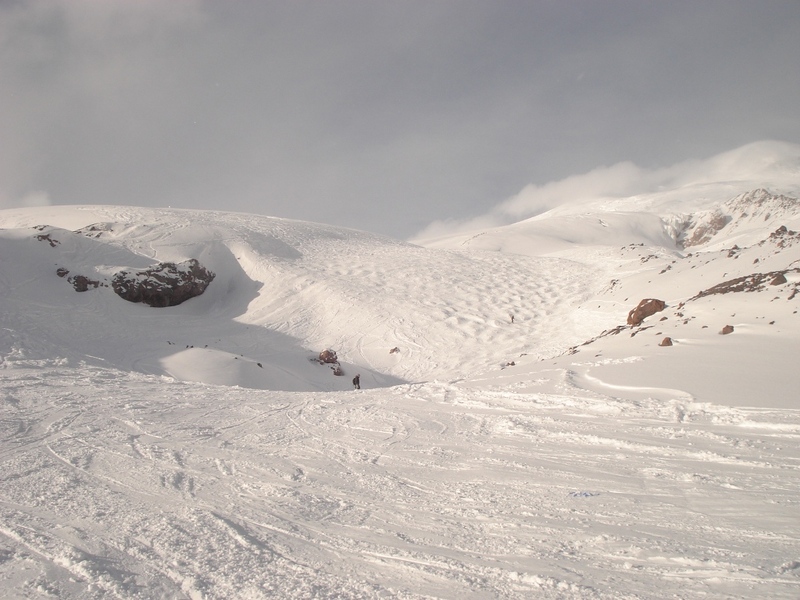 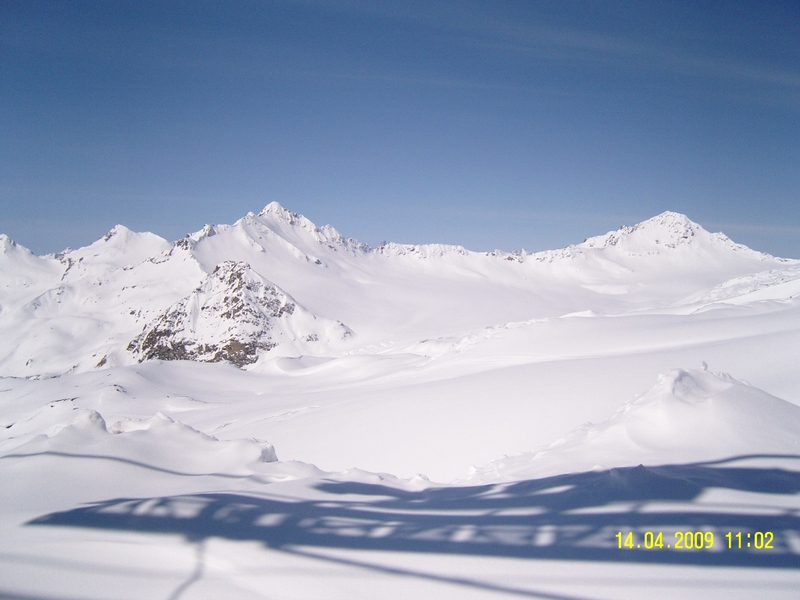 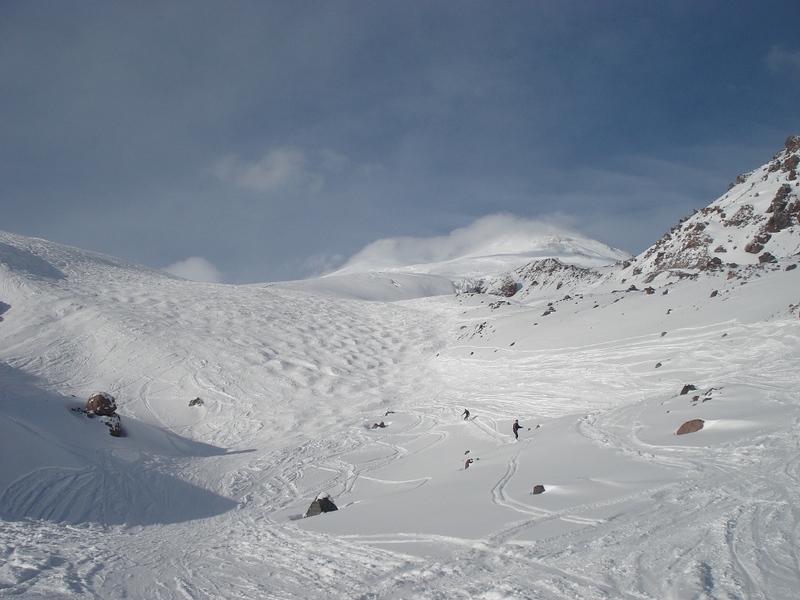 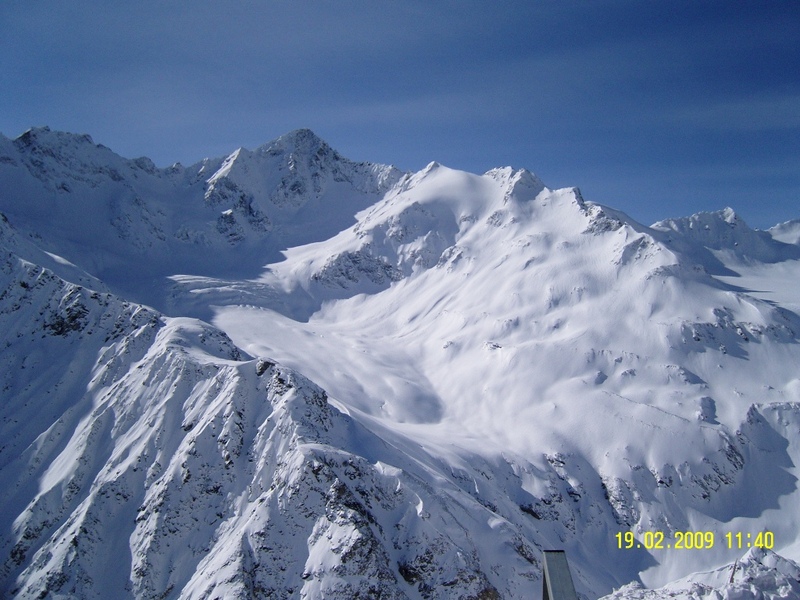 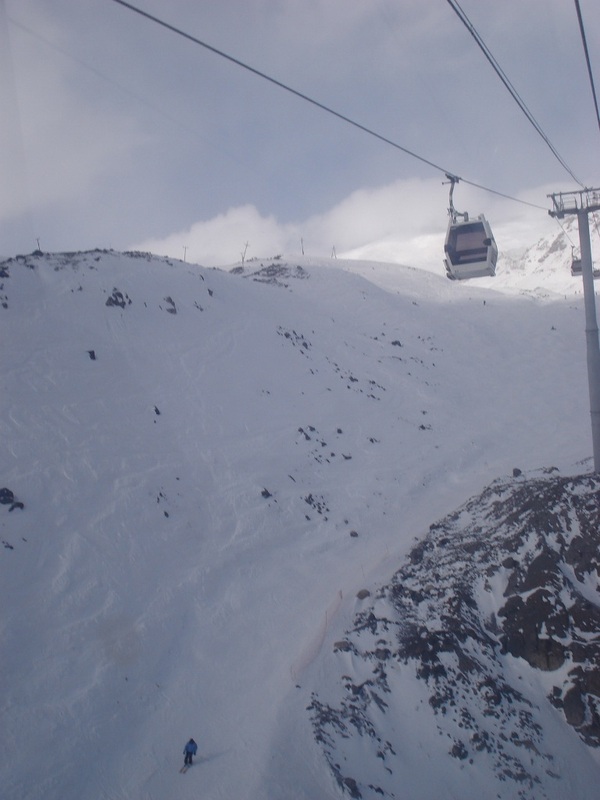 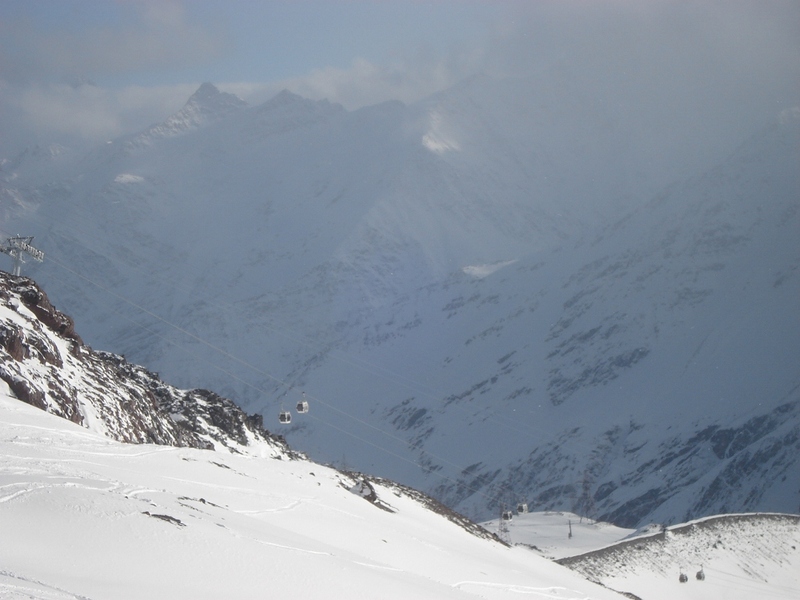 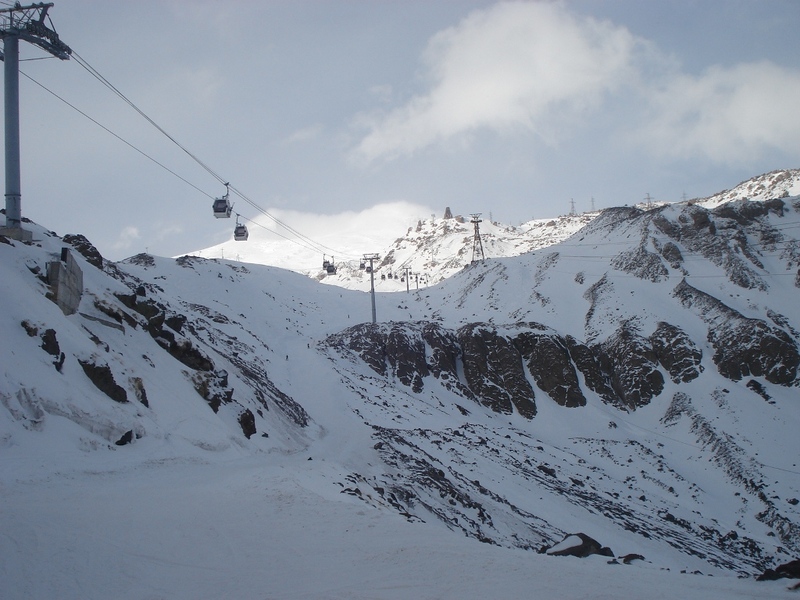 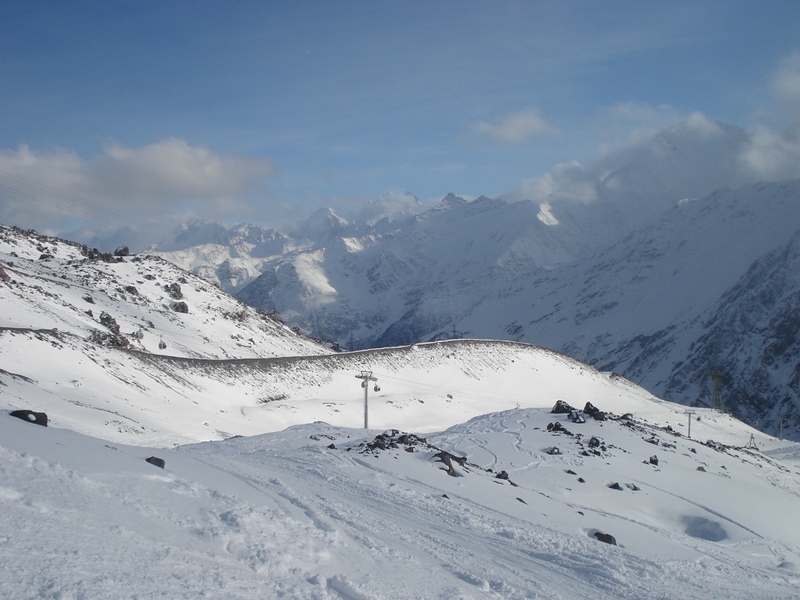 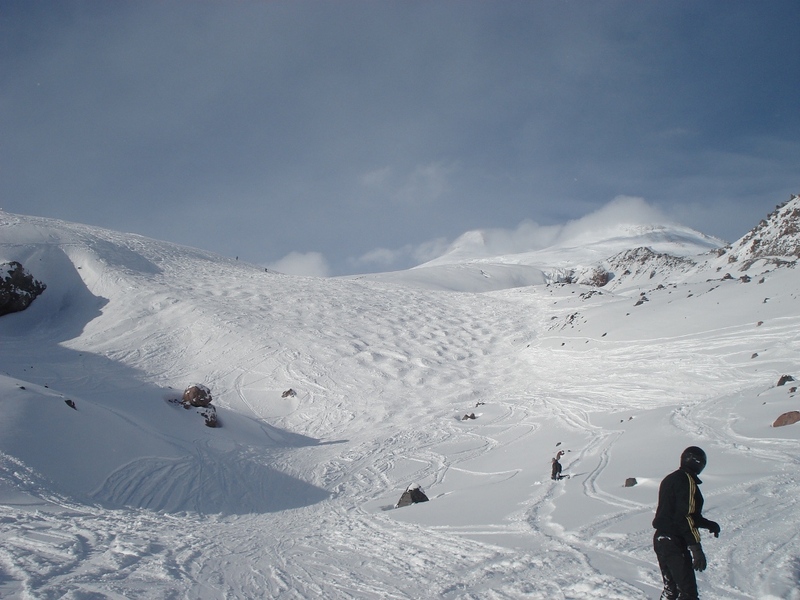 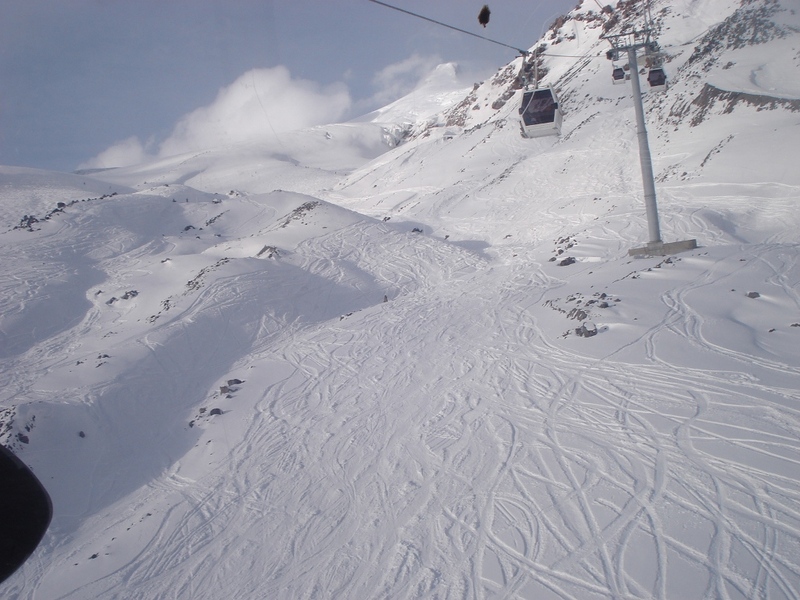 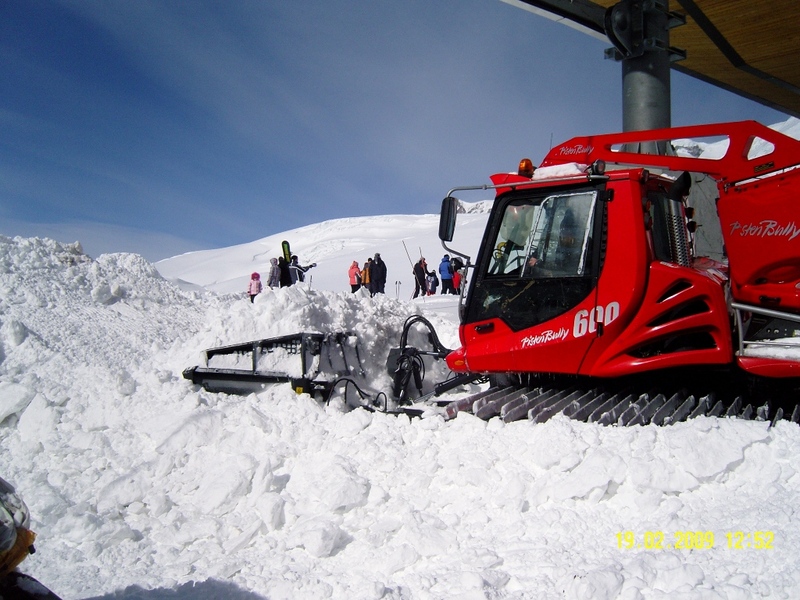 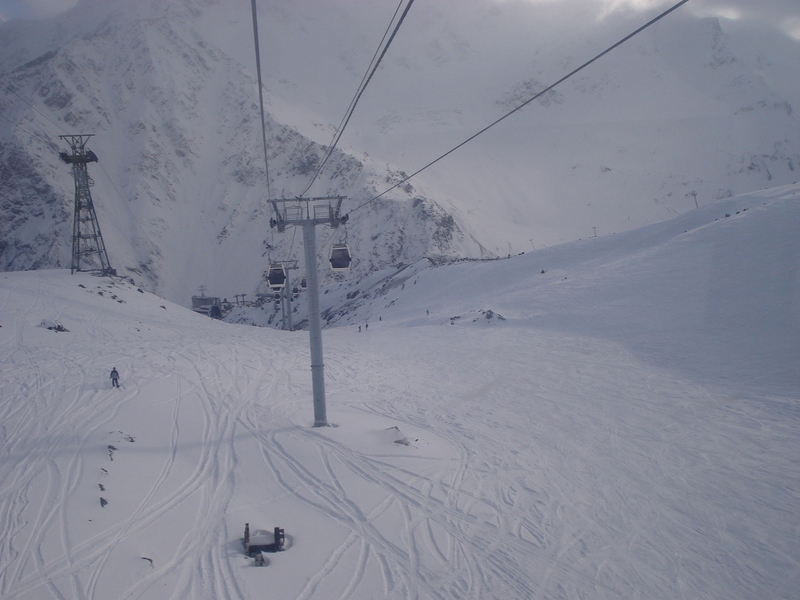 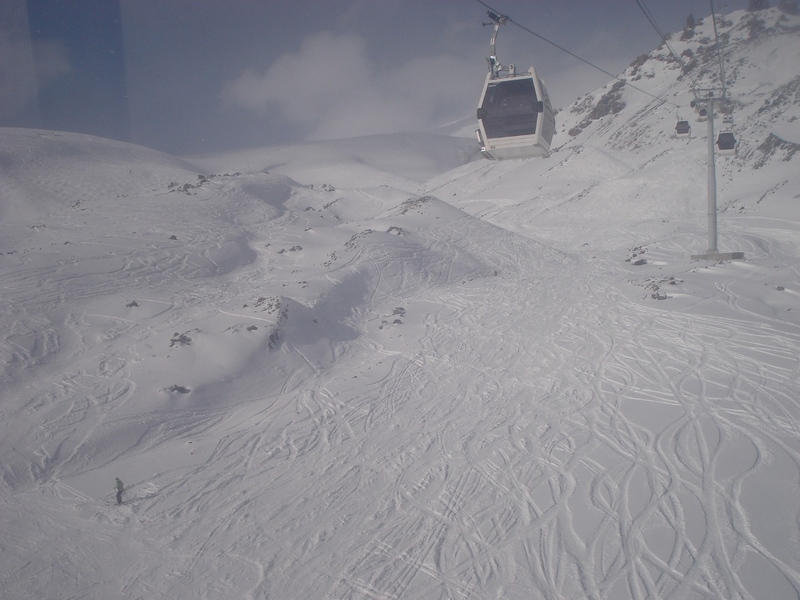 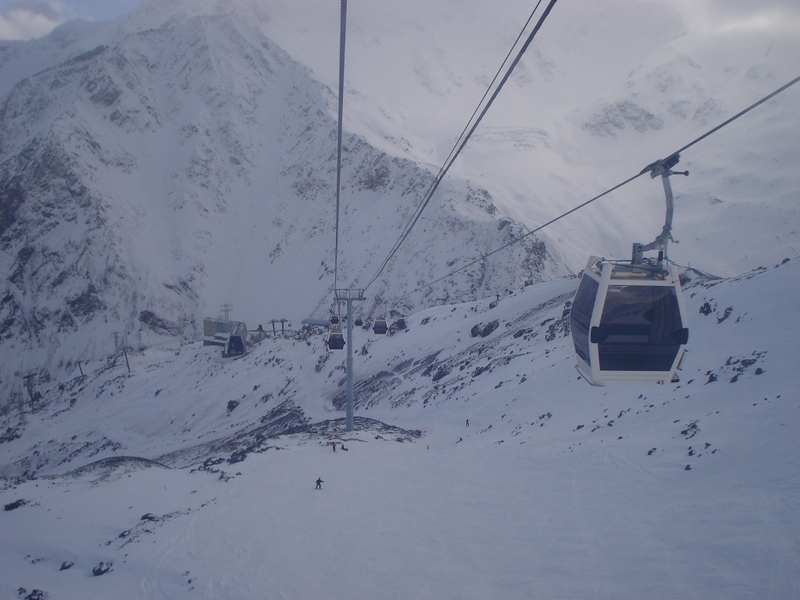 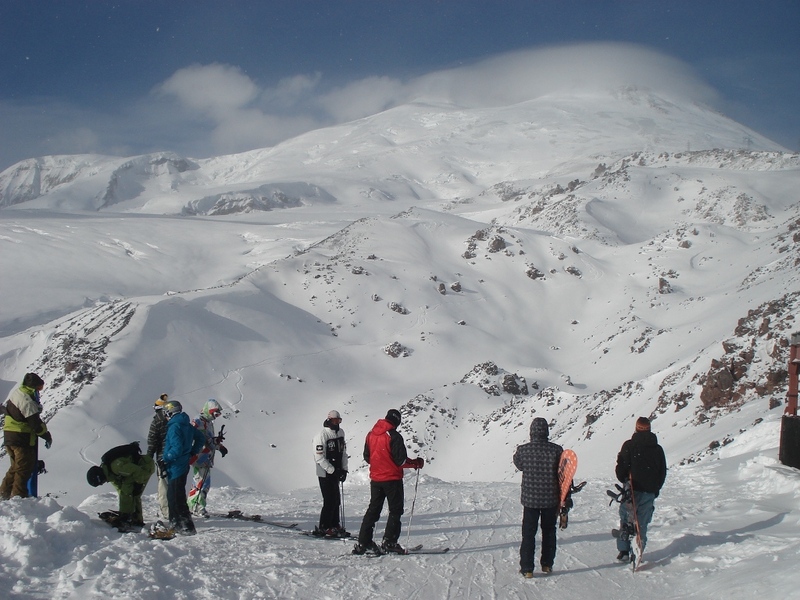 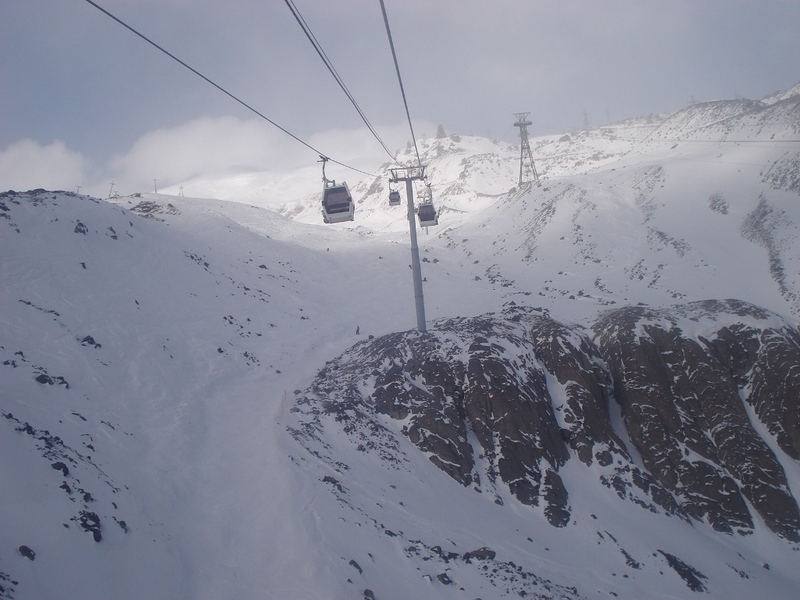 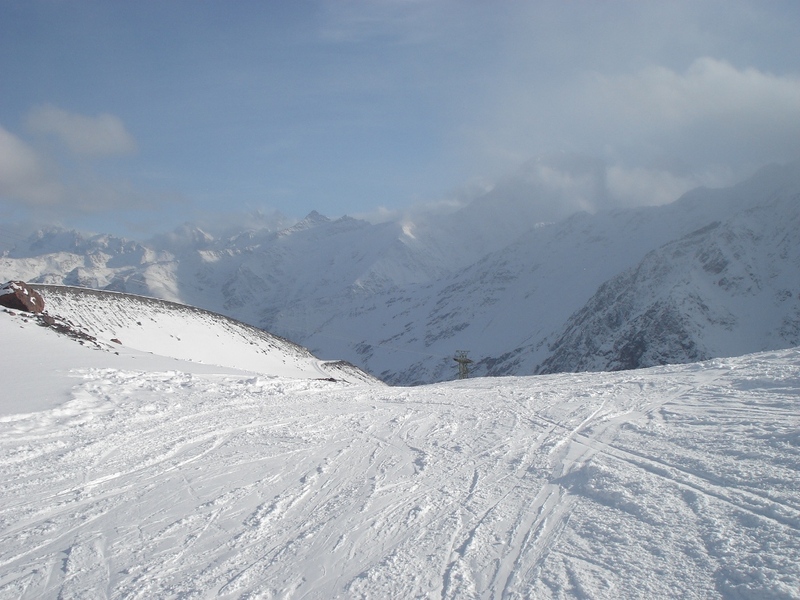 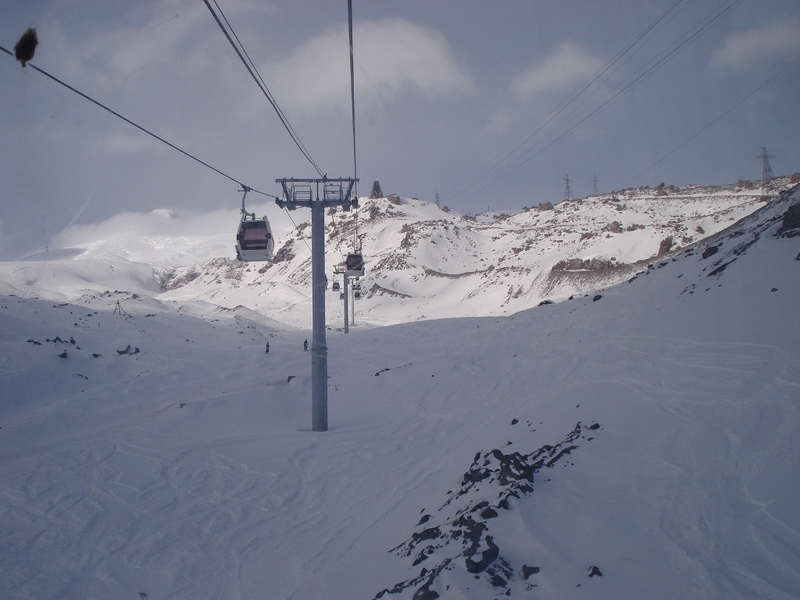 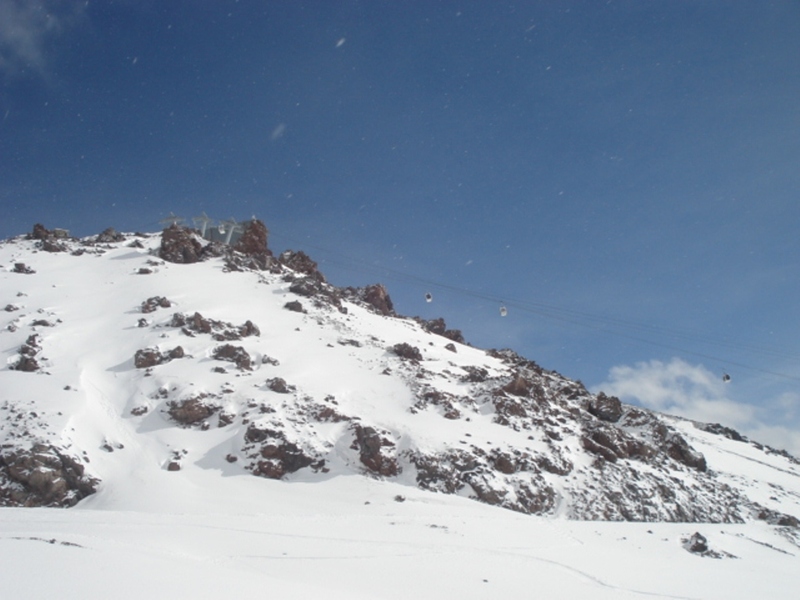 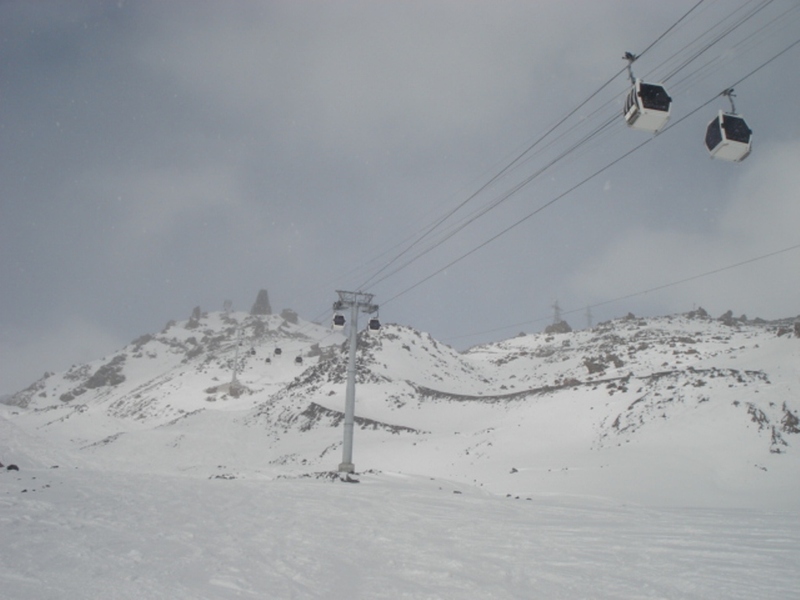 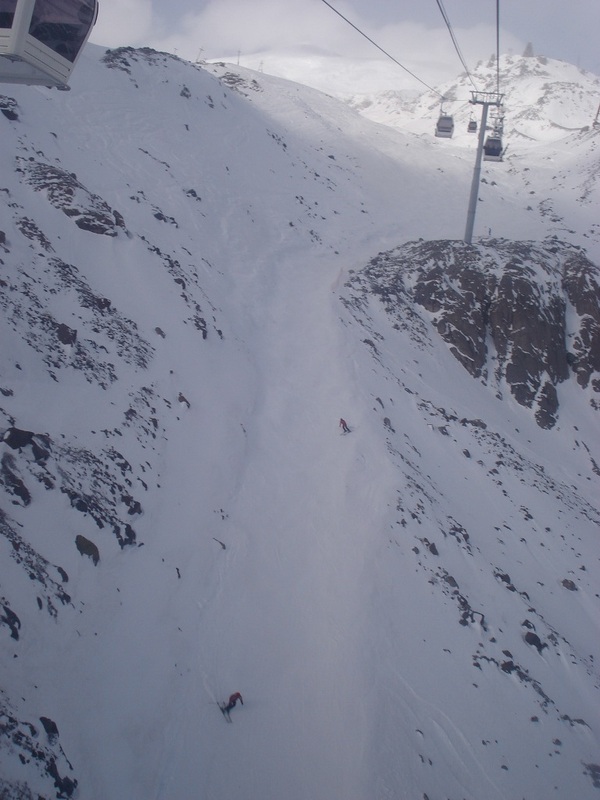 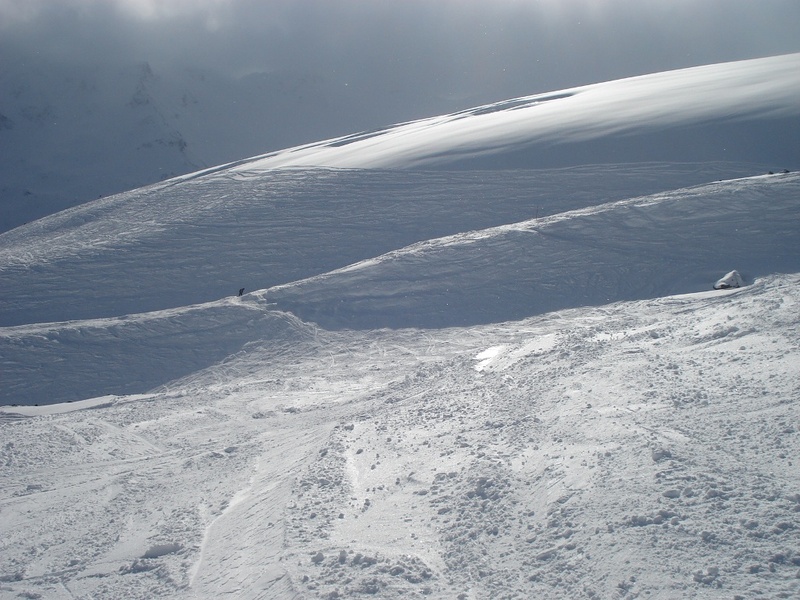 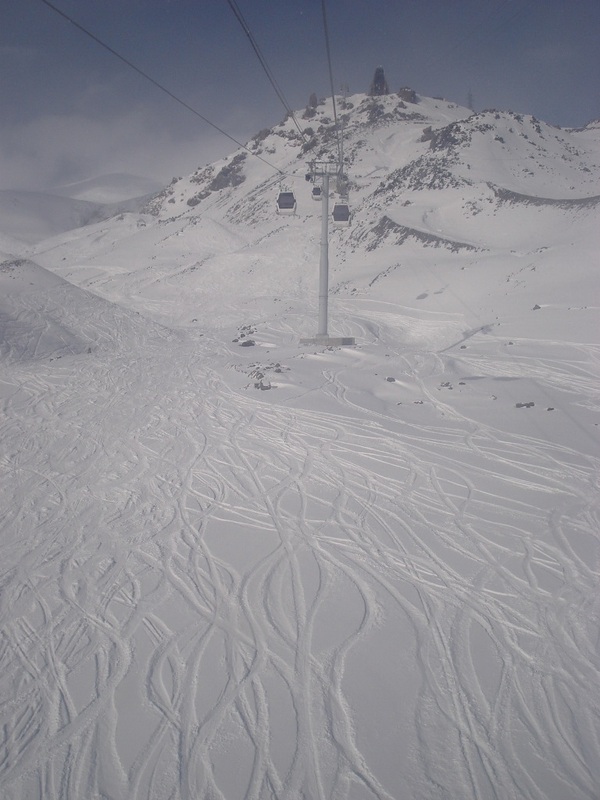 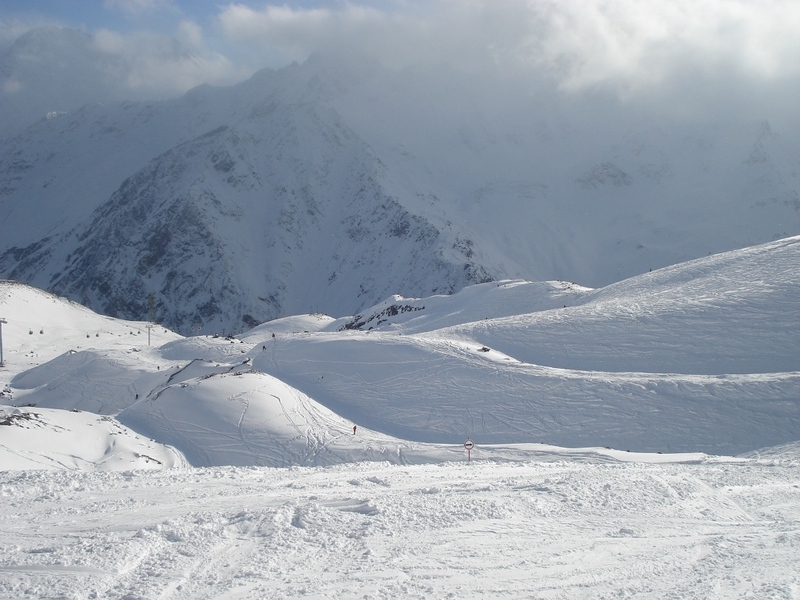 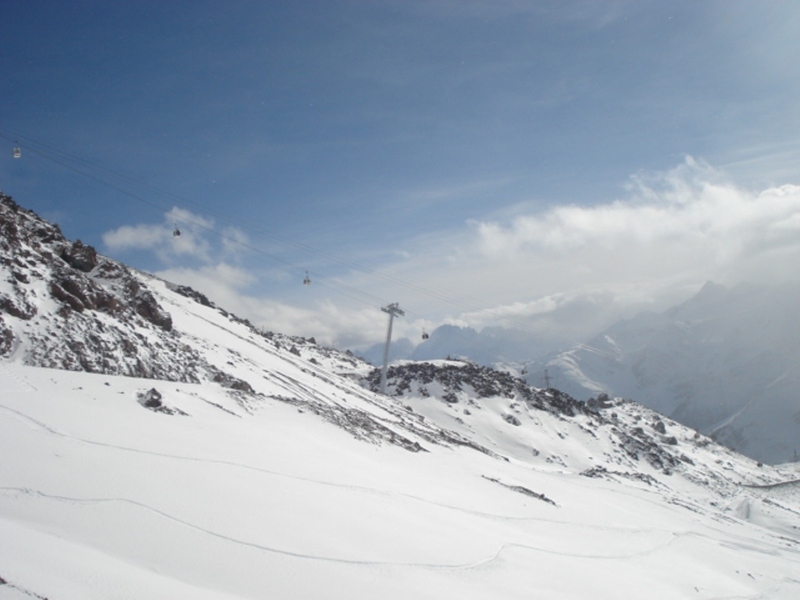 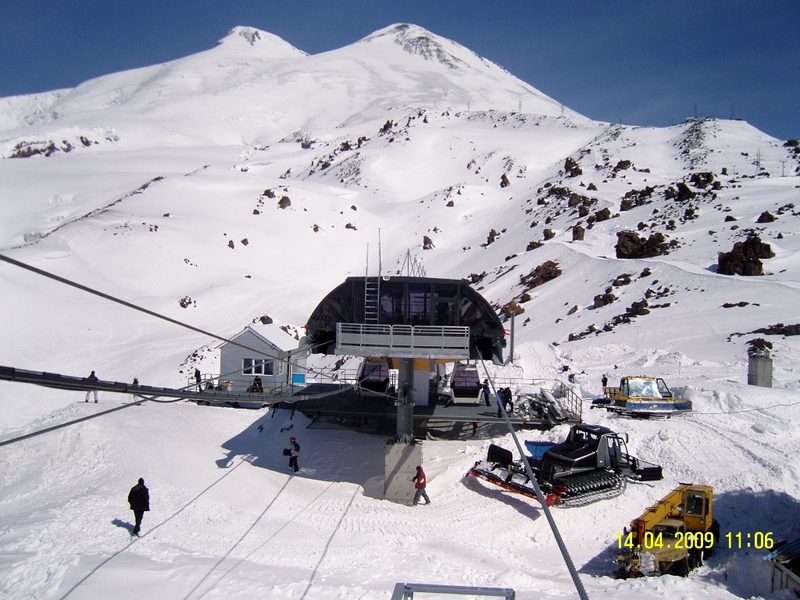 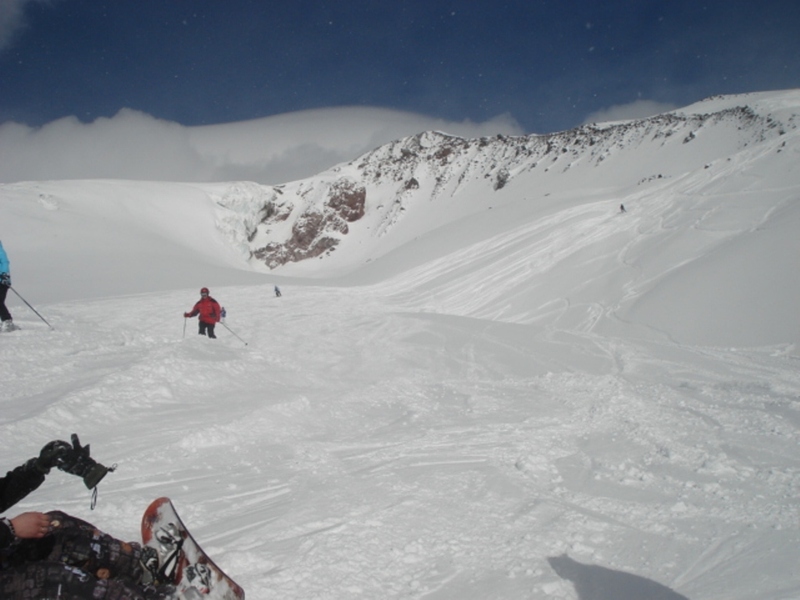 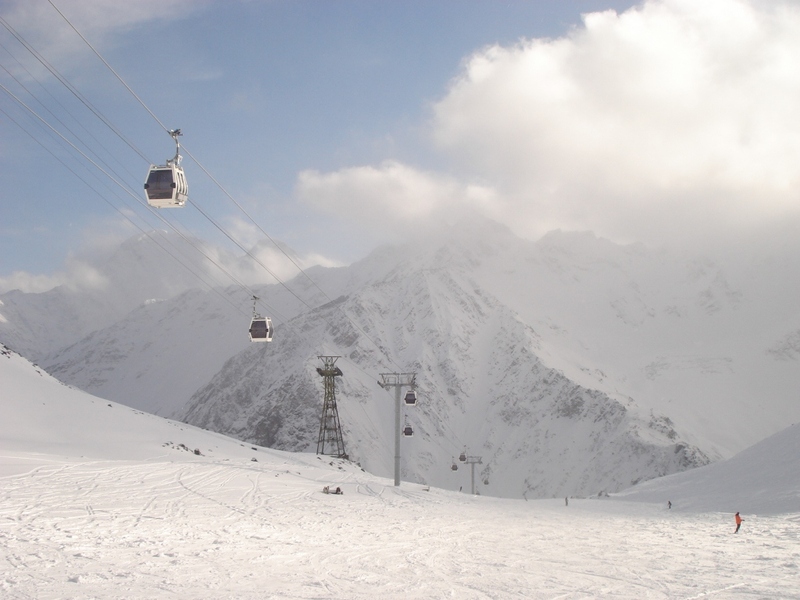 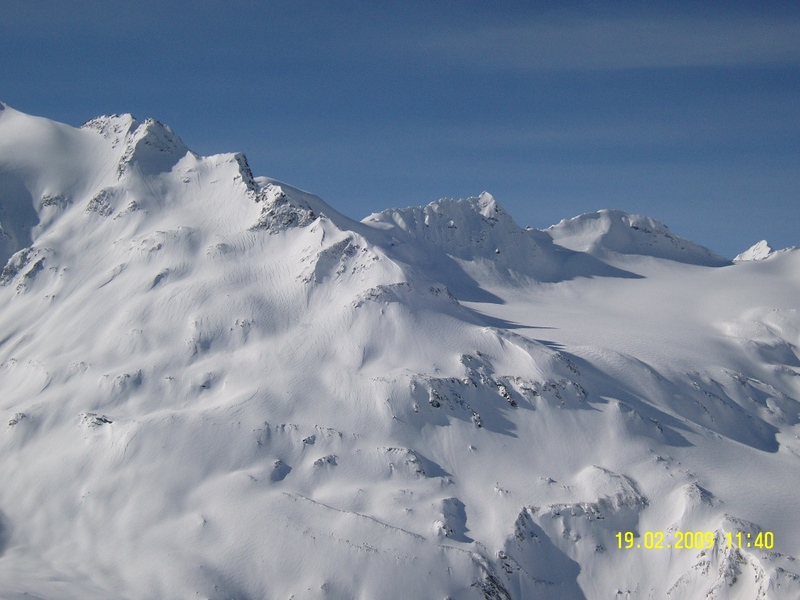 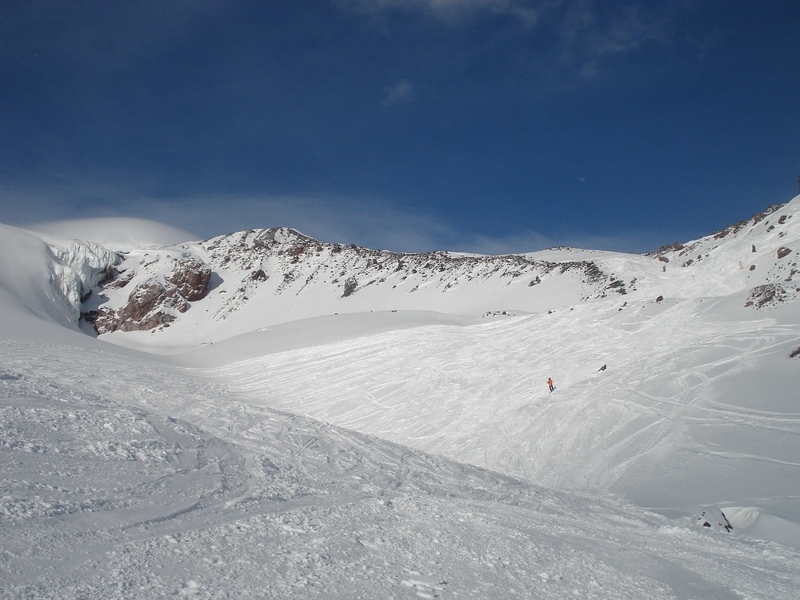 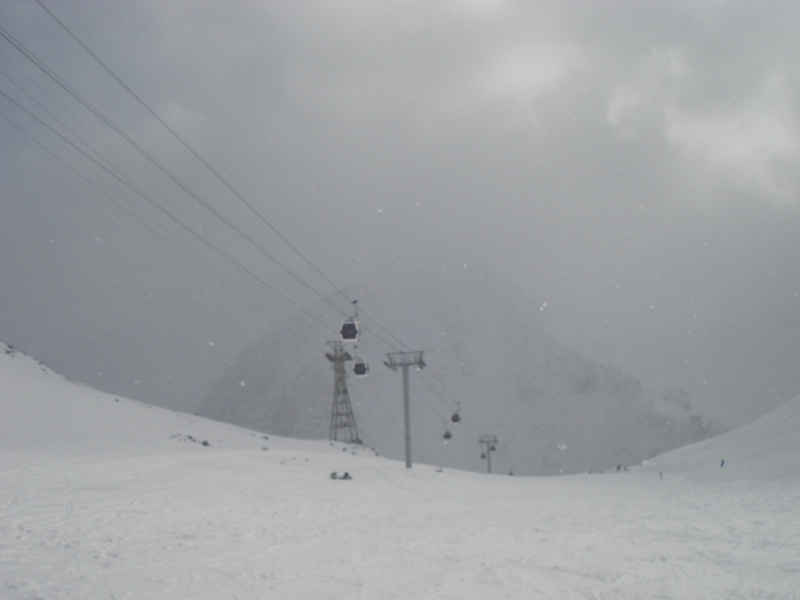 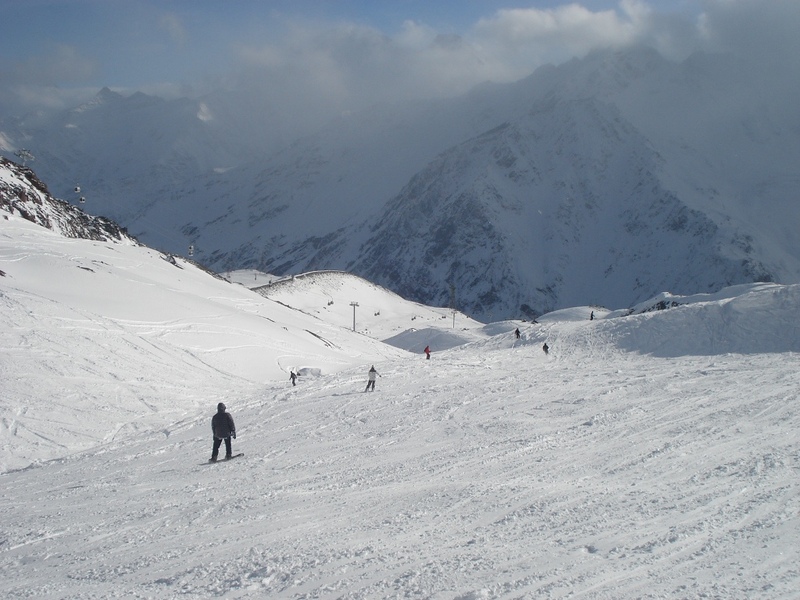 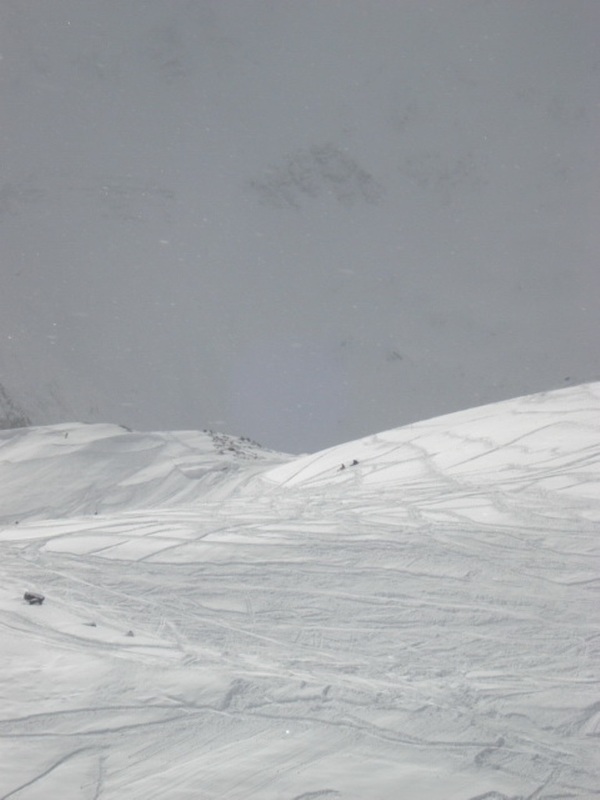 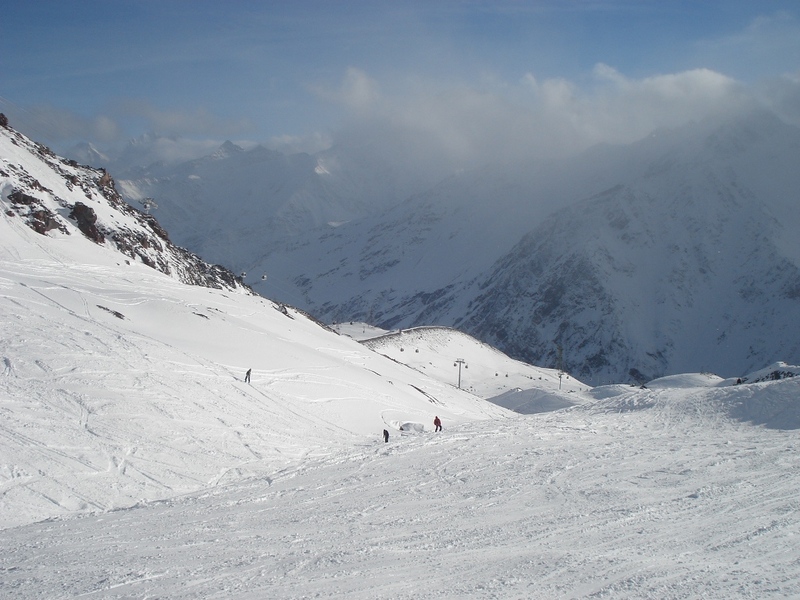 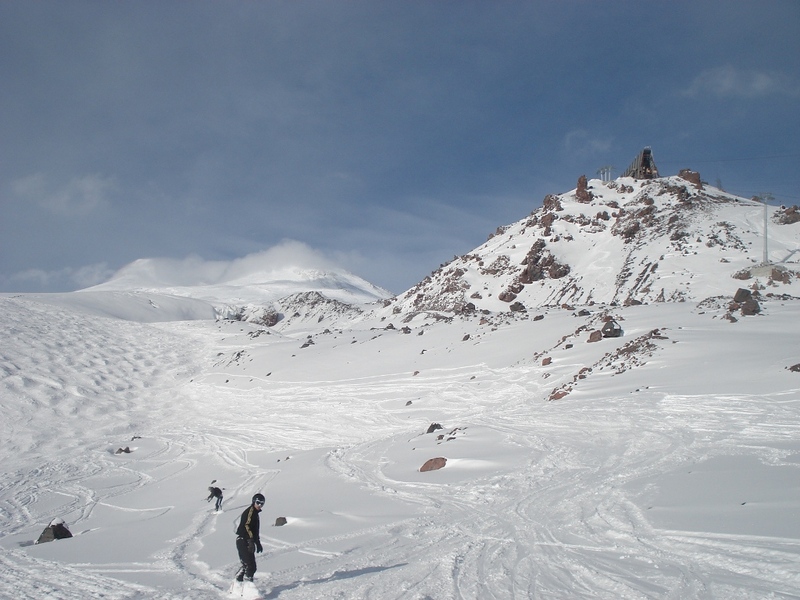 The cable-way on mount Elbrus “Krugozor – Mir” (2nd line) is located in the highlands of Kabardino-Balkaria at a distance of 3,5 kilometers westerly of village Terskol in the south-east slope of Mount Elbrus at an altitude above sea level, 2’945 m, 3’458 m. The road belongs to the type of ring monocable ropeway splittable cabins. 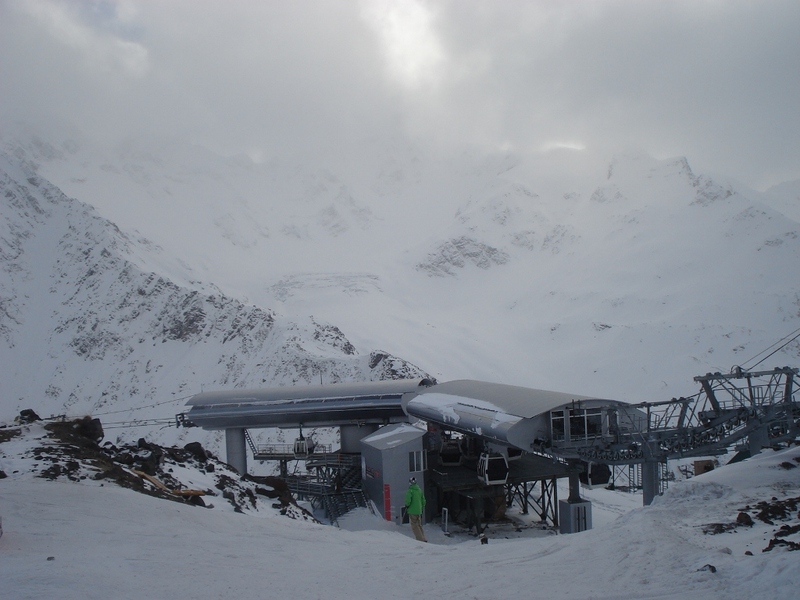 At the lower station “Krugozor” located homing station, at the upper station “Mir” – strain station. 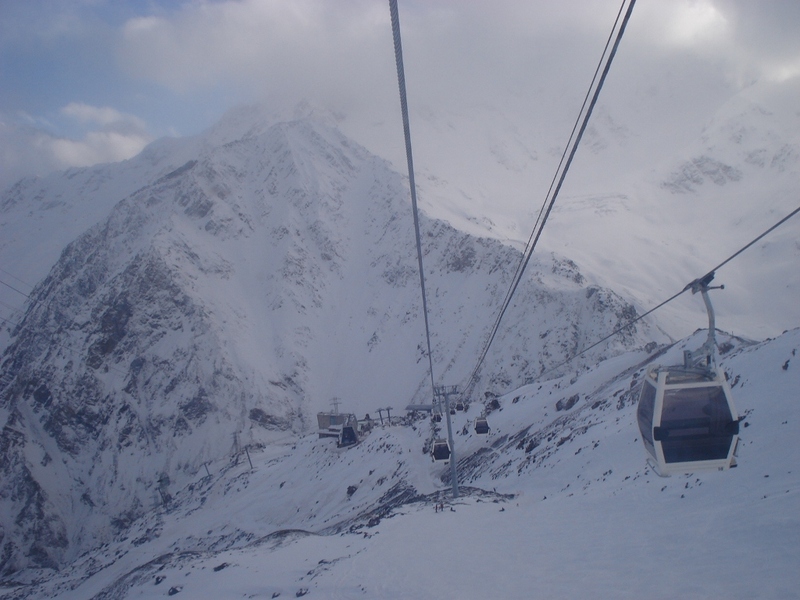 Lower station – “Stary Krugozor”. 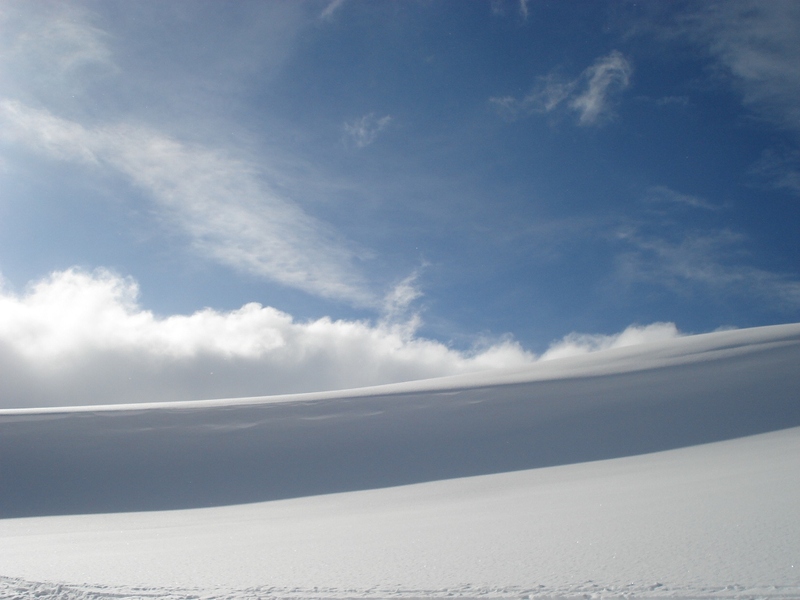 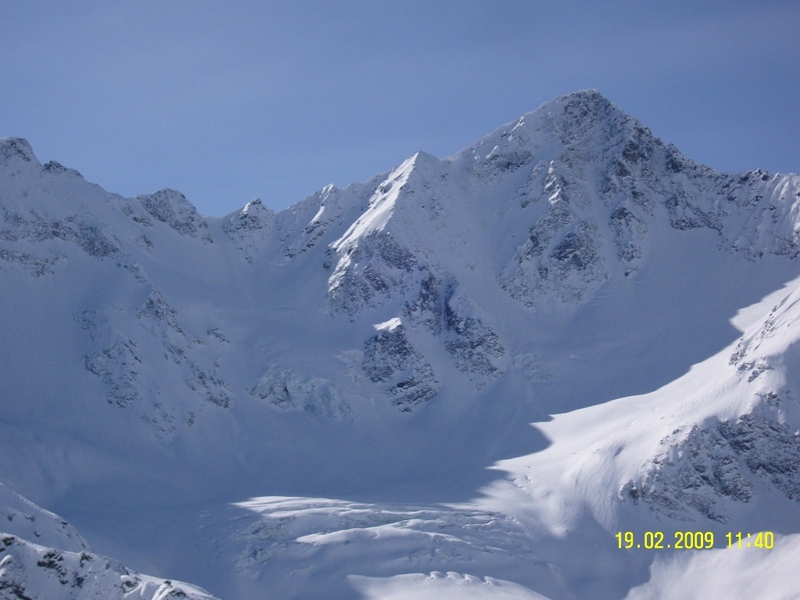 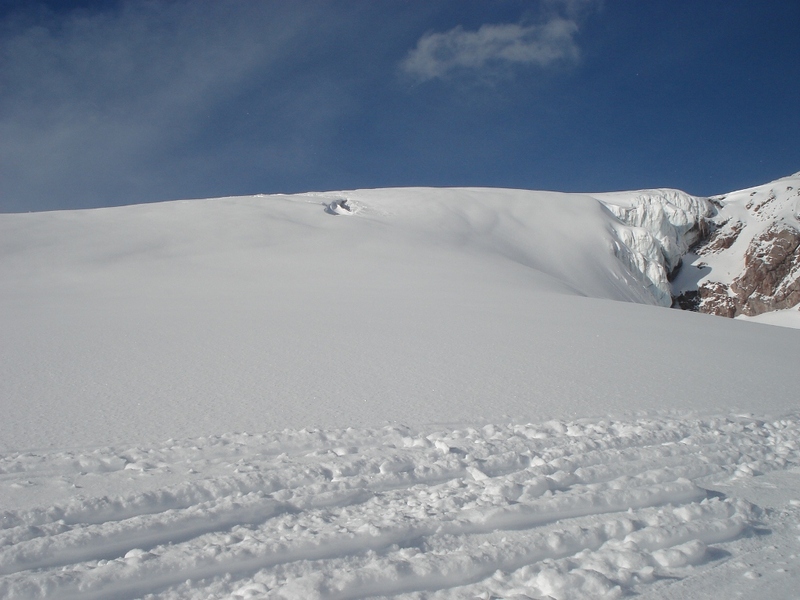 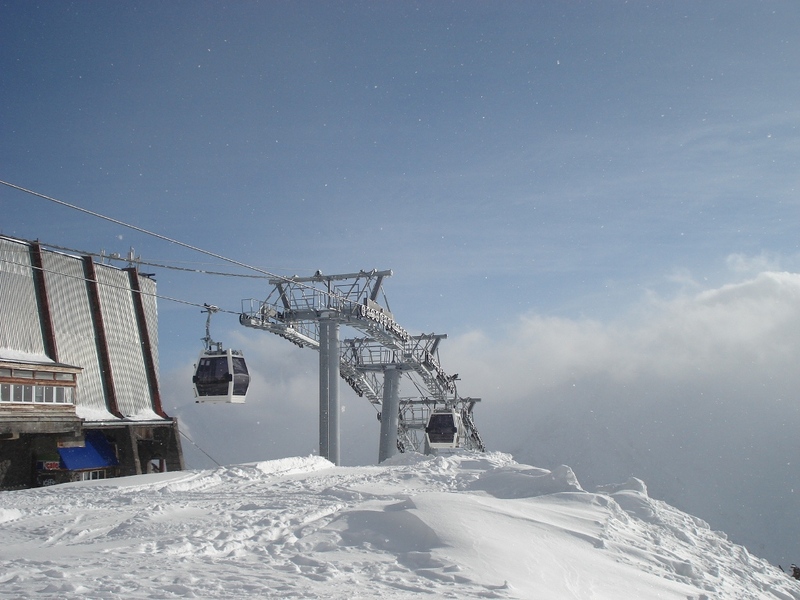 Lower homing station on the altitude 2936 meters is on the site “Krugozor” and adjoins the upper station of cable car “Azau – Krugozor”. 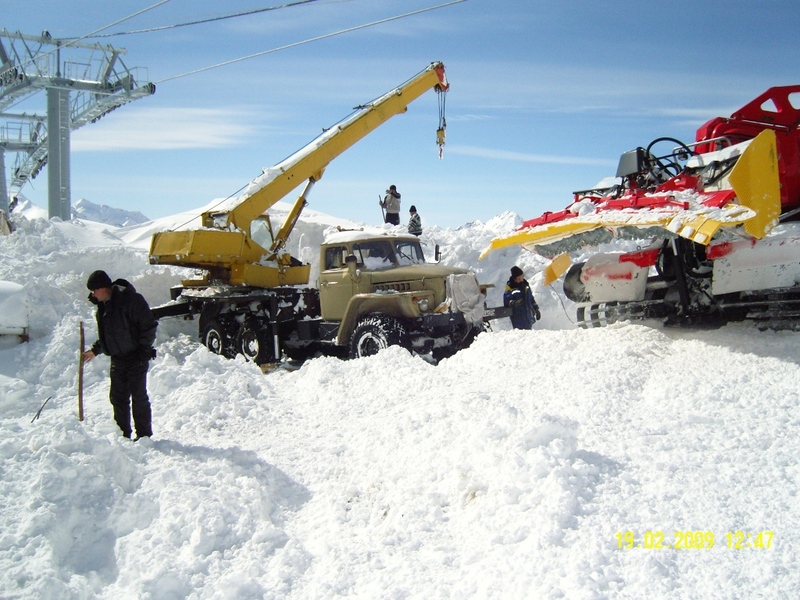 Construction of the station designed in similar to the upper station “Azau – Old Krugozor”. 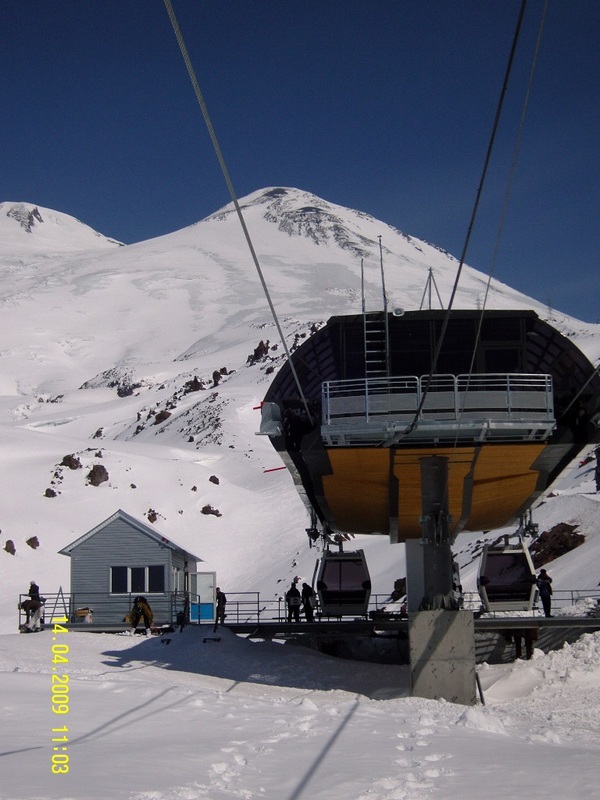 The station is a half-space. 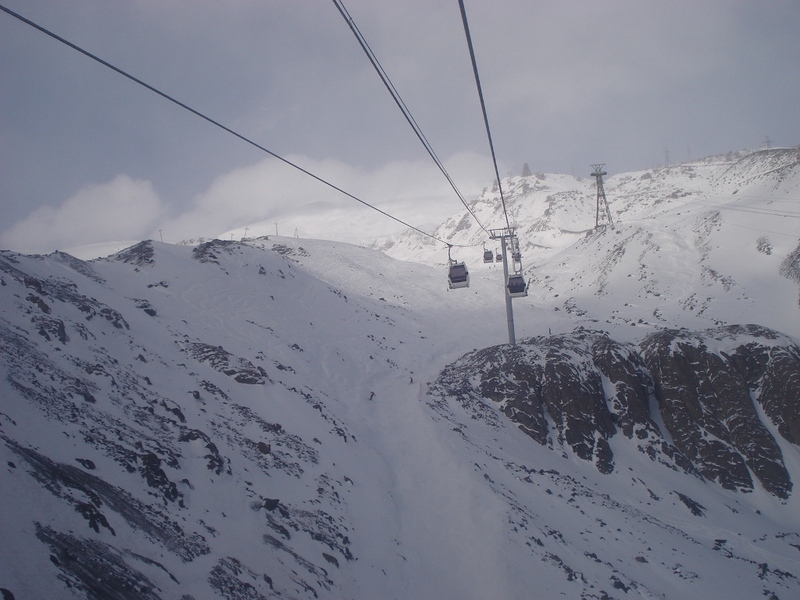 At the top is closed part of the drive pulleys, fixed on the metal. 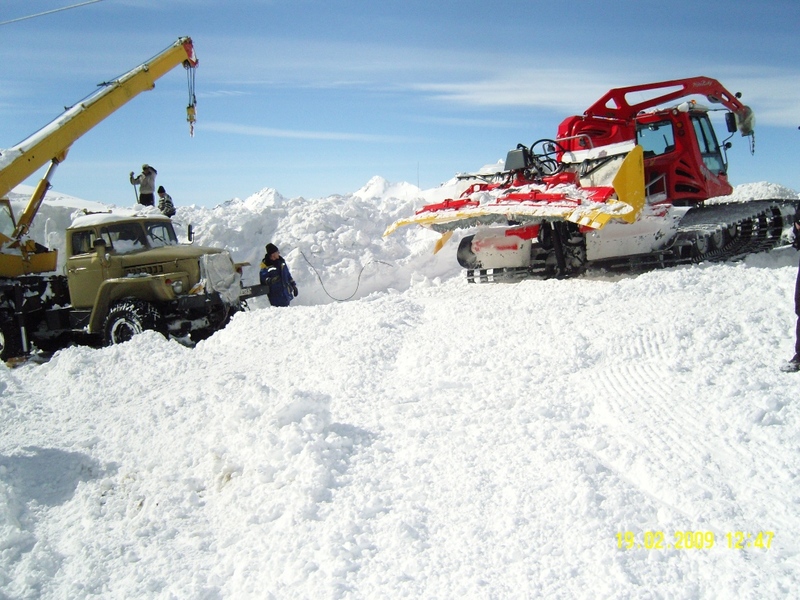 These same constructions support track process and all equipment. 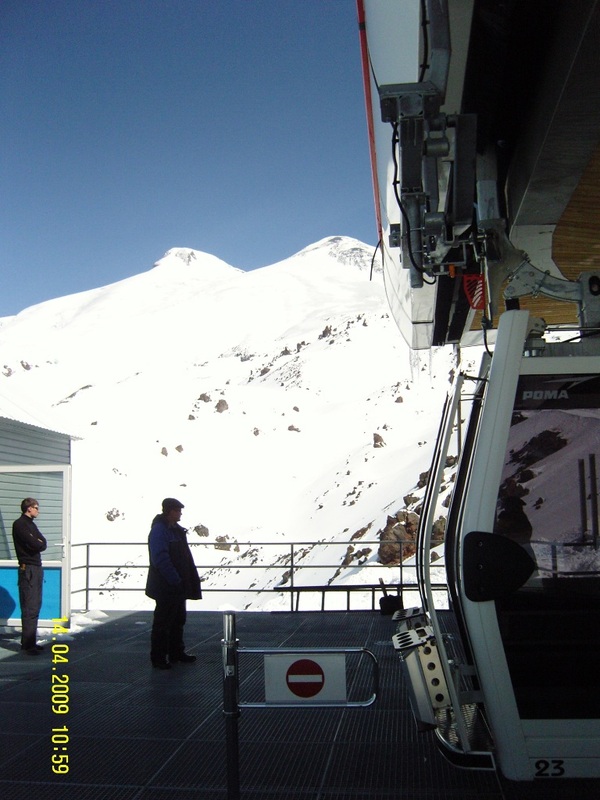 The public part of the station – platform for boarding and landing for passengers. 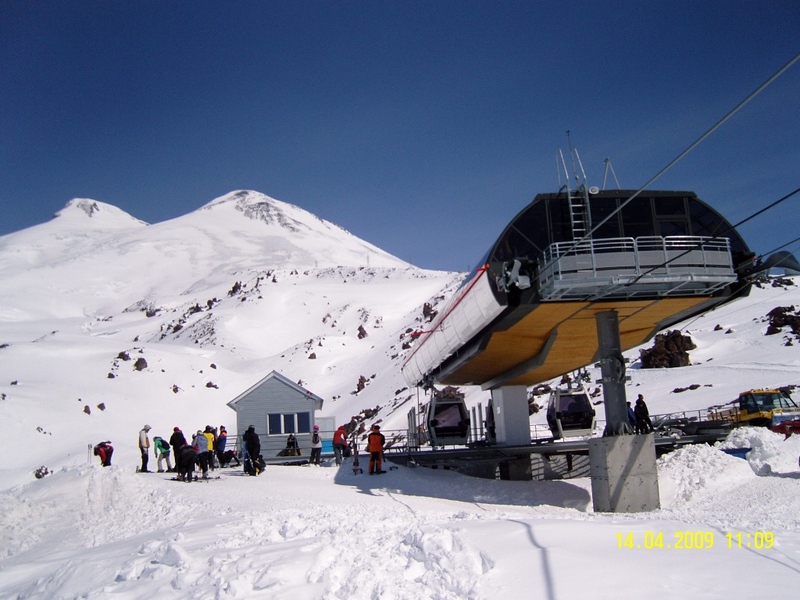 Homing Station – the project of French firms “POMA”. 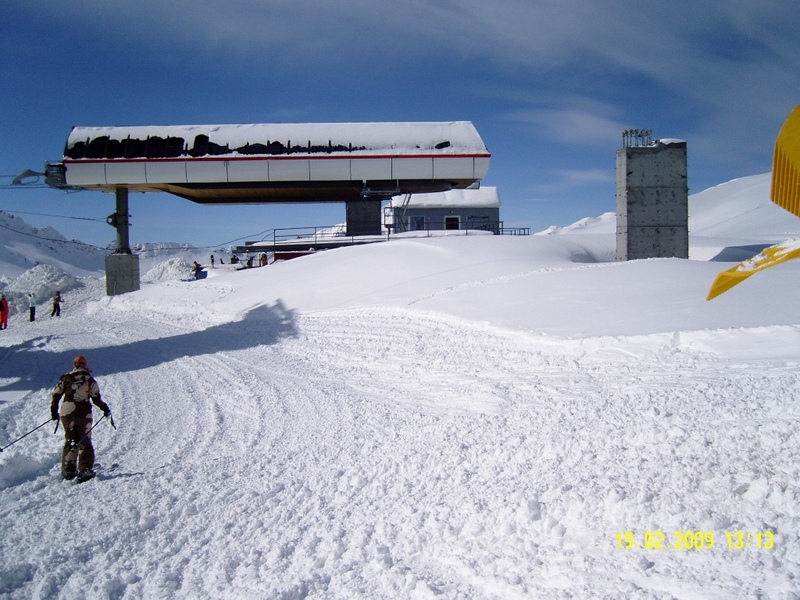 The upper station – “Mir”. 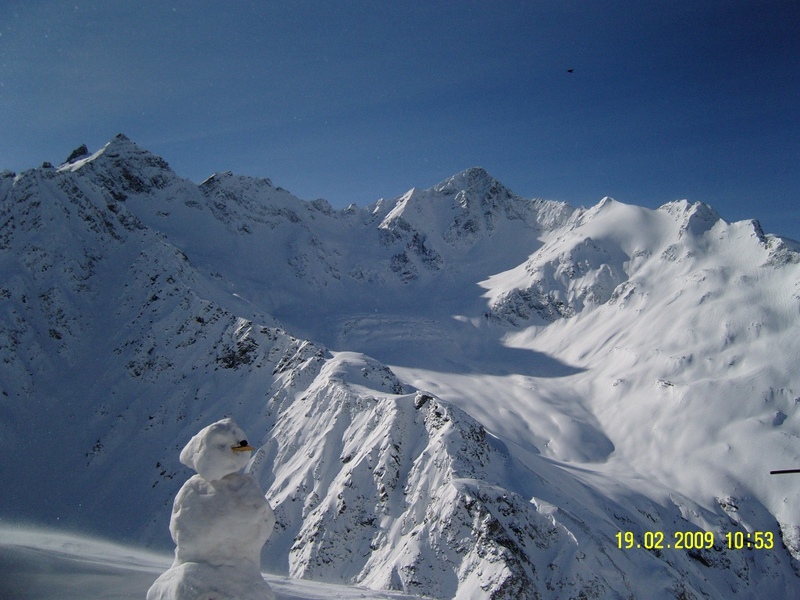 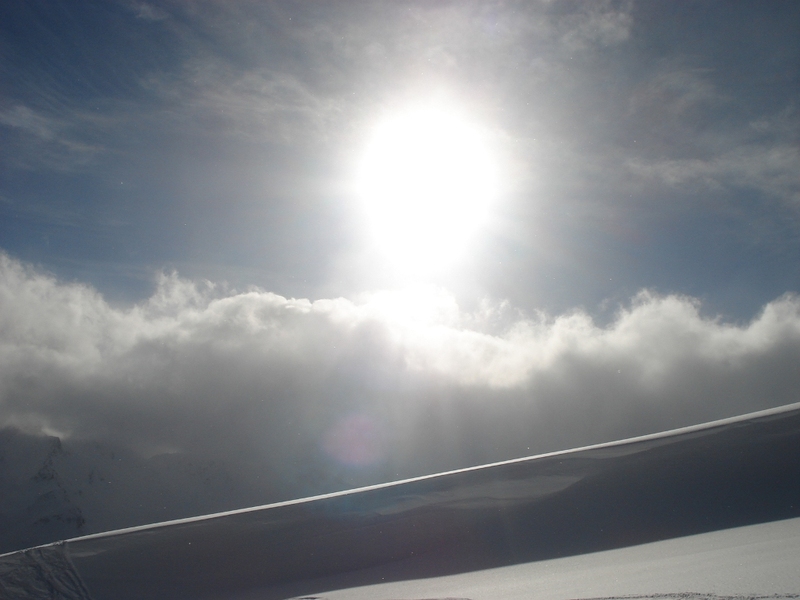 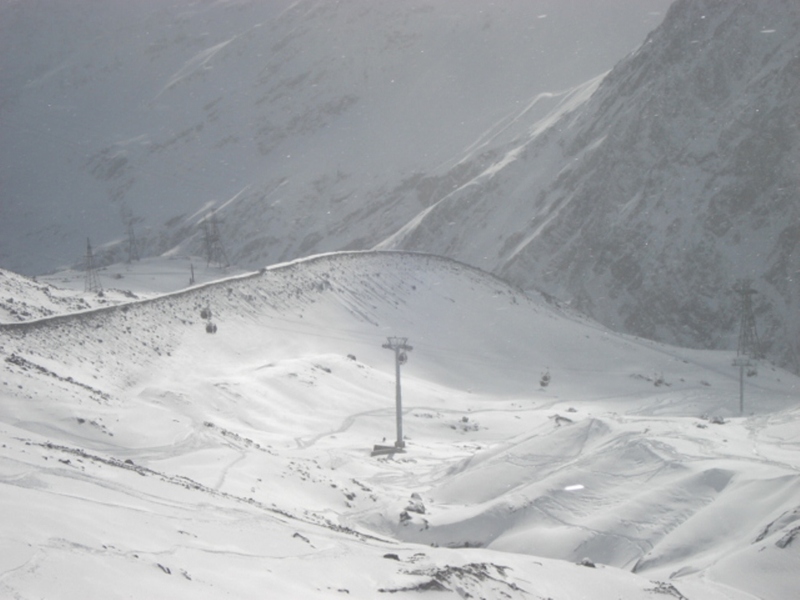 The upper station “Mir” on the altitude 3452 meters is located near the upper station of the existing swing cable-way. 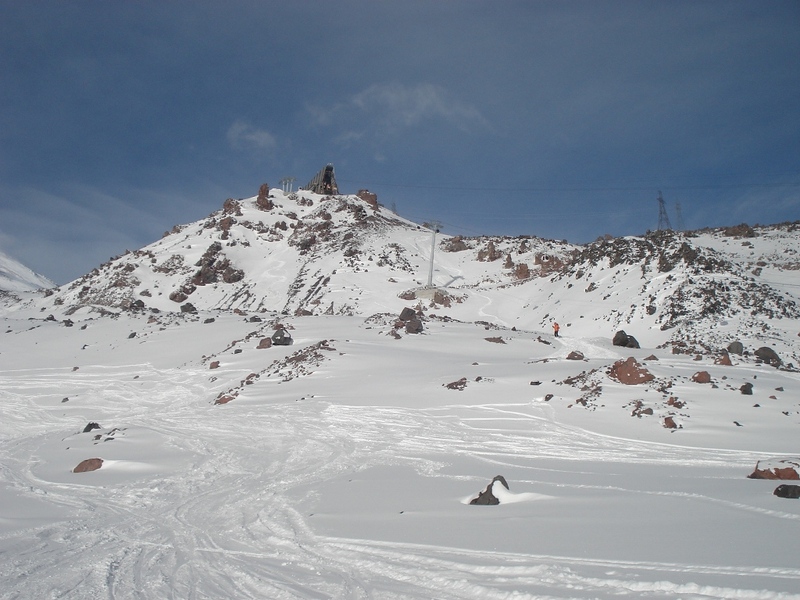 The station is a half-space. 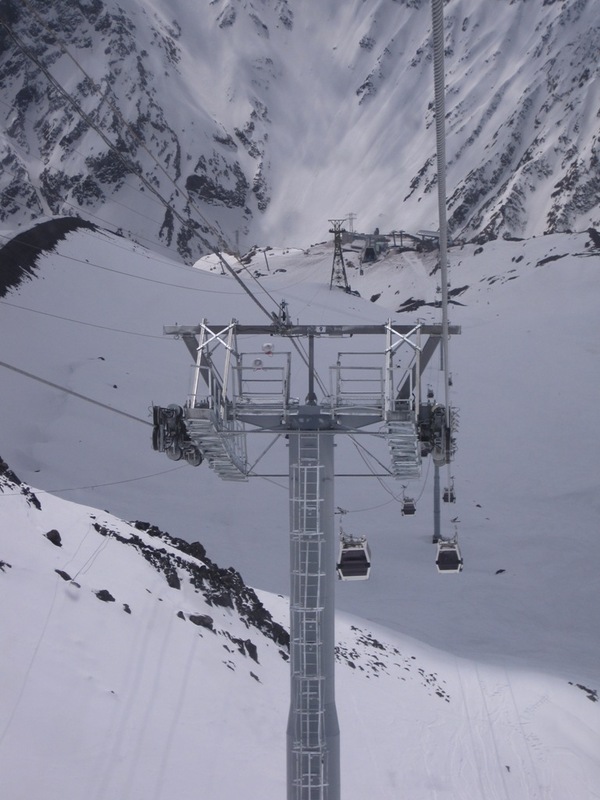 Strain station – the project and supply of construction and technological equipment by French firm “POMA”. 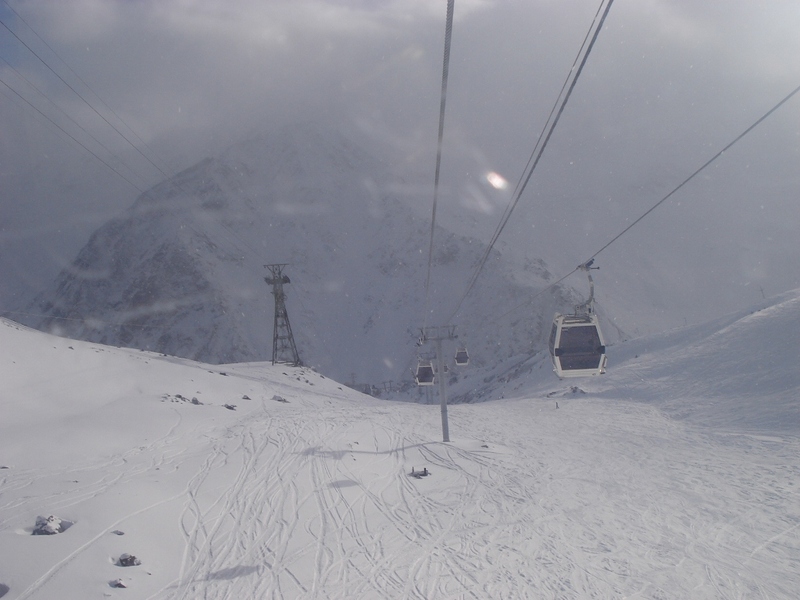 There is also a garage of gondolas there. 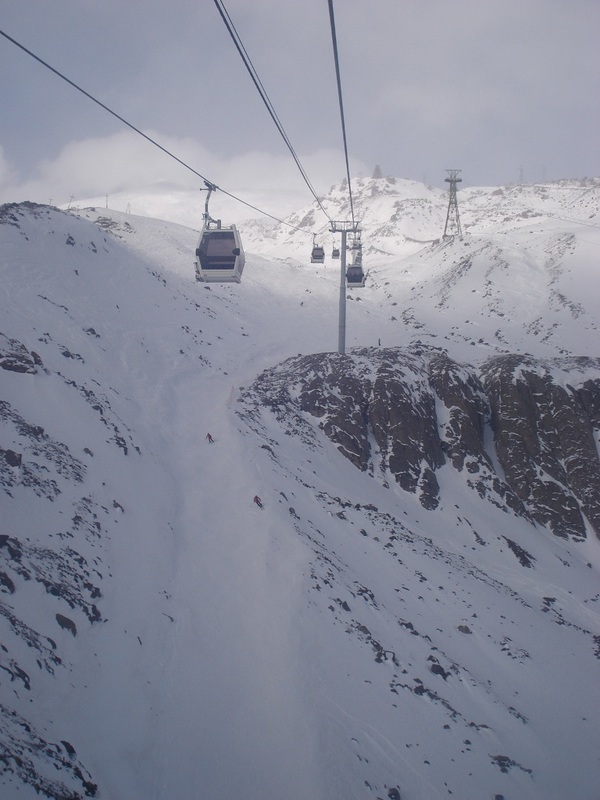 The technical characteristics of the road.